In May, 1806, a group of families from St. Peter Port, Guernsey, arrived in Prince Edward Island, where they settled near Murray Harbour. 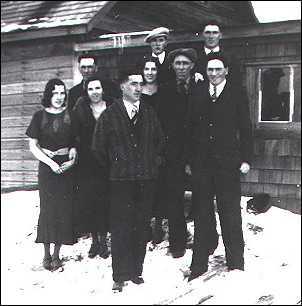 Of this group, at least three of the families were already closely related. Elizabeth Pullem, the wife of Henry Brehaut, and Frances (Francoise) Pullem, the wife of Daniel Machon were sisters. A third sister, Marguerite Pullem, was the widow of Jean Nicolle; her son John Thomas Nicolle seems to have been part of the immigrant group. 1. Francoise (Frances) Pullem b. 08-DEC-1770, St. Peter Port, Guernsey, bapt: 26-DEC-1770, m. 15-JUN-1797, in St. Peter Port, Guernsey, Daniel Machon , b. 1767, Guernsey, (son of Abraham Machon and Elizabeth Ingroville) d. 1828, Murray Harbour, P.E.I. 2.	i	Daniel b. 25-MAR-1798. 3.	ii	Henry b. 02-SEP-1799. 4.	iii	William b. 29-AUG-1801. iv	Betsy Machon b. 08-SEP-1803, St. Peter Port, Guernsey, bapt: 18-SEP-1803, buried: 11-SEP-1804, St. Peter Port, Guernsey. 5.	v	Elizabeth b. 07-DEC-1804. 6.	vi	Thomas b. 26-APR-1807. 7.	vii	Nancy Ann b. 25-JUN-1810. 8.	viii	John b. 21-JAN-1816. 2. Daniel Machon, Jr. (1.Francoise1 ) b. 25-MAR-1798, St. Peter Port, Guernsey, m. Elizabeth Yone Taudvin , b. 1804, Guernsey, d. 05-JUN-1883, Murray Harbour, P.E.I., buried: Murray Harbour SO. Daniel died 06-AUG-1876, Murray Harbour, P.E.I., buried: Murray Harbour SO. i	Henry Machon b. 23-MAR-1826, bapt: 09-APR-1826, Murray Harbour, P.E.I., d. 07-MAR-1842, buried: Murray Harbour, P.E.I. 9.	ii	Elizabeth b. 04-JUN-1827. 10.	iv	Mary Ann (Maria) b. 01-JUL-1829. v	Frances Margaret Machon b. 31-JUL-1831, bapt: 21-AUG-1831, Murray Harbour, P.E.I., d. 30-DEC-1862, buried: Murray Harbour, P.E.I. 11.	vi	Daniel b. 10-JUN-1833. vii	Rachel Machon b. 1835, d. 20-APR-1835, buried: Murray Harbour SO. 12.	viii	Maria Jane b. 18-JUN-1835. 13.	ix	John Thomas b. 27-JUL-1837. 14.	x	Sophia b. 28-MAR-1843. xi	Charlotte Rachel Machon b. 12-APR-1846, bapt: 01-JUN-1846, Murray Harbour, P.E.I. 15.	xii	William Henry b. 24-FEB-1848. 3. Henry Machon (1.Francoise1 ) b. 02-SEP-1799, St. Peter Port, Guernsey, bapt: 08-SEP-1799, m. 24-MAR-1831, Nancy (Ann) LeLacheur , b. 31-DEC-1812, Murray Harbour, P.E.I., (daughter of Jean (John) LeLacheur and Elizabeth Windsor) d. 28-MAR-1876, Murray Harbour, P.E.I., buried: Murray Harbour, P.E.I. Henry died 22-APR-1887, Murray Harbour, P.E.I., buried: Murray Harbour, P.E.I. 16.	i	Elizabeth Windsor b. 25-DEC-1831. ii	Margaret Ann Machon b. 27-JAN-1833, bapt: 17-MAR-1833, Murray Harbour, P.E.I. 17.	iii	Daniel b. 06-MAR-1834. 18.	iv	Frances b. 26-FEB-1836. v	Henry Machon b. 01-OCT-1837, bapt: 21-OCT-1838. vi	James Machon b. 27-DEC-1839, White Sands, P.E.I., bapt: 11-JUL-1841, Murray Harbour, P.E.I. 19.	vii	Charles Copp b. 13-AUG-1842. viii	Sarah Ann Machon b. 07-MAY-1845, bapt: 27-MAR-1851, Murray Harbour, P.E.I., m. _________ Davey . ix	Benjamin David Machon b. 18-NOV-1850, bapt: 27-MAR-1851, Murray Harbour, P.E.I. 20.	x	Maria Jane b. 07-JAN-1859. 4. William Machon (1.Francoise1 ) b. 29-AUG-1801, St. Peter Port, Guernsey, bapt: 07-SEP-1801, m. Charlotte Reid , b. 1804, P.E.I., d. 12-JUN-1877, buried: Murray Harbour SO. William died 10-DEC-1874, buried: Murray Harbour SO. i	Ann Machon b. 05-JUN-1828, bapt: 31-AUG-1828, Murray Harbour, P.E.I. 21.	ii	Maria Jane b. 22-DEC-1831. 22.	iii	Elizabeth b. 01-MAR-1832. iv	Charlotte Machon b. 19-NOV-1833, bapt: 26-JAN-1834, Murray Harbour, P.E.I., m. 02-APR-1858, Charles Thorne Brehaut , b. 12-APR-1829, Murray Harbour, P.E.I., bapt: 13-SEP-1829, Murray Harbour, P.E.I., (son of Henry Brehaut and Frances Thorne) d. 21-JUN-1919, buried: Murray Harbour SO. Charlotte died 29-JUL-1858, buried: Murray Harbour SO. v	Margaret Machon b. 26-MAR-1837, P.E.I., bapt: 16-SEP-1837, d. 18-MAR-1917, buried: Murray Harbour SO. 23.	vi	William b. 12-SEP-1839. 24.	vii	Catherine b. 09-DEC-1842. viii	Daniel Benjamin Machon b. 1846.
ix	Peter James Machon b. 1849. 5. Elizabeth Machon (1.Francoise1 ) b. 07-DEC-1804, St. Peter Port, Guernsey, bapt: 24-DEC-1804, m. 1821, in Murray Harbour, P.E.I., John Thomas Nicolle , b. 08-JUN-1796, Guernsey, bapt: 12-JUN-1796, (son of Jean Nicole and Marguerite (Margaret) Pullem) d. 26-JUL-1856, White Sands, P.E.I., buried: Murray Harbour SO. Elizabeth died 23-DEC-1838, Murray Harbour, P.E.I., buried: Murray Harbour SO. 25.	i	Margaret b. 22-SEP-1822. ii	Mary Ann Nicolle b. 04-SEP-1824, Murray Harbour, P.E.I., bapt: ? ?-MAR-1825, Murray Harbour, P.E.I., m. Charles Cupps . iii	John Nicolle b. 08-DEC-1826, bapt: 05-MAR-1827, Murray Harbour, P.E.I. iv	Frances Nicolle b. 30-DEC-1828, bapt: 13-SEP-1829, Murray Harbour, P.E.I. 26.	v	John Thomas b. 16-FEB-1833. 27.	vi	William Pullem b. 06-JAN-1835. 28.	vii	Elizabeth Catharine Cowan b. 21-NOV-1838. 6. Thomas Machon (1.Francoise1 ) b. 26-APR-1807, Murray Harbour, P.E.I., m. Rachel Taudvin , b. 1809, Murray Harbour, P.E.I., d. 1851, buried: Murray Harbour, P.E.I. Thomas died 16-MAY-1894, buried: Murray Harbour SO. i	Mary Machon b. 07-MAR-1831, bapt: 21-AUG-1831, Murray Harbour, P.E.I., d. 16-DEC-1903, buried: Murray Harbour SO. 29.	ii	Catherine Margaret b. 13-JAN-1833. 30.	iii	John T. b. 29-DEC-1834. iv	Daniel Machon b. 17-AUG-1837, bapt: 17-SEP-1837, Murray Harbour, P.E.I., m. Anne Roberts . v	Thomas Machon b. 05-FEB-1839, bapt: 26-JAN-1840, Murray Harbour, P.E.I. 31.	vi	William James b. 12-MAR-1841. vii	Elizabeth Taudvine Machon b. 27-MAY-1843, bapt: 01-JUN-1843, Murray Harbour, P.E.I. 32.	viii	Samuel b. 26-JUL-1845. 33.	ix	Ann b. 06-AUG-1847. 34.	x	Henry Joseph b. 31-MAY-1849. xi	Josiah Machon b. 13-MAR-1850, bapt: 27-APR-1850, Murray Harbour, P.E.I. 7. Nancy Ann Machon (1.Francoise1 ) b. 25-JUN-1810, Murray Harbour, P.E.I., m. 30-DEC-1834, Matthias Chessell Hawkins , b. 08-MAY-1804, (son of Giles Hawkins and Susanne Chessell) d. 27-JUN-1864, buried: Murray Harbour SO. Nancy died 04-JUN-1884, Murray Harbour, P.E.I., buried: Murray Harbour SO. 35.	i	Eleanor Mary b. 27-OCT-1835. ii	Susanna Frances Hawkins b. 01-JAN-1838, Murray River, P.E.I., bapt: 21-OCT-1838. iii	Ann Maria Hawkins b. 06-AUG-1839, Murray River, P.E.I., bapt: 26-JAN-1840, m. Thomas Roberts , b. 1839, d. 1932, buried: Murray Harbour SO. Ann died 1932, buried: Murray Harbour SO. 36.	iv	William Mitchell b. 09-OCT-1841. 37.	v	Priscilla Jane b. 1843.
vi	Elizabeth Frances Hawkins b. 1847, bapt: 10-MAR-1847, d. 1935, buried: Murray Harbour SO. vii	Charlotte Hawkins b. 03-SEP-1852, bapt: 07-JUL-1853, d. 1936, buried: Murray Harbour SO. 8. John Machon (1.Francoise1 ) b. 21-JAN-1816, Murray Harbour, P.E.I., m. 26-DEC-1838, Mary Buchanan , b. ca. 1826. 38.	i	Esther b. 22-APR-1839. ii	Mary Ann Machon b. 15-AUG-1841, bapt: 06-MAR-1843, Murray Harbour, P.E.I., d. 1929, Boston, MA. 39.	iii	John b. 01-OCT-1845. iv	Jane Machon b. 18-SEP-1848, bapt: 22-SEP-1850, Murray Harbour, P.E.I., d. 1889.
v	Emma Jane Machon b. 04-APR-1852, bapt: 31-MAR-1853, Murray Harbour, P.E.I., d. 1905. 9. Elizabeth Machon (2.Daniel2 , 1.Francoise1 ) b. 04-JUN-1827, bapt: 29-JAN-1828, Murray Harbour, P.E.I., m. 1856, Alexander VanIderstine , b. 13-APR-1826, P.E.I., (son of John VanIderstine and Nancy Fraser) d. 1866?. i	John Daniel VanIderstine b. 28-JUL-1858, bapt: 29-NOV-1858, m. Mary Ann (Mae) Clements Nicolle , b. 24-DEC-1857, White Sands, P.E.I., bapt: 25-JUL-1858, (daughter of John Thomas Nicolle and Elizabeth Horton Clements) d. aft. 1930. John buried: Murray Harbour, P.E.I. ii	Alexander William VanIderstine b. 28-JUN-1861, bapt: 25-AUG-1861, Murray Harbour, P.E.I., m. 01-DEC-1900(L), Sarah MacLennan , b. 22-OCT-1879. iii	Abraham VanIderstine b. 11-JAN-1864, bapt: 19-JUL-1864, Murray Harbour, P.E.I. 40.	iv	Peter James b. 06-NOV-1865. v	Elizabeth Ann VanIderstine b. 16-JUN-1868, bapt: 12-APR-1869, Murray Harbour, P.E.I. 10. Mary Ann (Maria) Machon (2.Daniel2 , 1.Francoise1 ) b. 01-JUL-1829, bapt: 13-SEP-1829, Murray Harbour, P.E.I., m. 25-FEB-1857, William Henry Sencabaugh , b. 20-JUL-1833, P.E.I., bapt: 01-JAN-1834, P.E.I., (son of William Sencabaugh and Elizabeth Street) d. 27-JUN-1914, P.E.I., buried: Murray Harbour SO. Mary died 30-DEC-1889, buried: Murray Harbour, P.E.I. 41.	i	Daniel Mark b. 25-JAN-1858. 42.	ii	Maria Margaret b. 14-FEB-1859. 43.	iii	Matilda Ann b. 04-SEP-1860. 44.	iv	Frances Charlotte b. 26-OCT-1861. 45.	v	Silas David b. 23-JAN-1863. 46.	vi	Olivia b. 20-NOV-1865. 47.	vii	Solomon Luke b. 22-AUG-1867. 48.	viii	Adelaide b. 22-SEP-1869. ix	Seth Adam Sencabaugh b. 30-OCT-1871, d. 16-DEC-1871, buried: Murray Harbour SO. 11. Daniel Machon (2.Daniel2 , 1.Francoise1 ) b. 10-JUN-1833, bapt: 14-JUL-1833, Murray Harbour, P.E.I., m. Barbara Sencabaugh , b. 09-MAY-1837, P.E.I., bapt: 17-SEP-1837, Murray Harbour, P.E.I., (daughter of William Sencabaugh and Elizabeth Street). i	Alexander Machon b. 07-AUG-1858, bapt: 06-FEB-1859. ii	Frederick William Machon b. 28-MAY-1860, bapt: 06-MAY-1861, Murray Harbour, P.E.I. iii	Caroline Patience Machon b. 31-MAR-1862, bapt: 16-JUL-1862, Murray Harbour, P.E.I. iv	Frances Elizabeth Machon b. 07-MAY-1864, bapt: 22-JUN-1864, Murray Harbour, P.E.I. v	John Arthur Machon b. 30-JUL-1865, bapt: 16-AUG-1866, Murray Harbour, P.E.I. 49.	vi	Daniel Charles b. 1872.
vii	Harriet (Hattie) Machon . 12. Maria Jane Machon (2.Daniel2 , 1.Francoise1 ) b. 18-JUN-1835, bapt: 13-SEP-1835, Murray Harbour, P.E.I., m. __________ Boyce . 13. John Thomas Machon (2.Daniel2 , 1.Francoise1 ) b. 27-JUL-1837, bapt: 17-SEP-1837, Murray Harbour, P.E.I., m. Mary Ann Darby Beck , b. 1847, (daughter of Vere Beck and Margaret Stapleton) d. ??-FEB-1916. John died 1927, Providence, RI. i	Frances Margaret Machon b. 04-NOV-1868, bapt: 12-APR-1869. 50.	ii	Charles Vere b. 1870.
iv	Maude Mary Machon b. 1875, Providence, RI, d. 1960. 51.	v	Herbert J. .
52.	vii	Stella Jane b. 1878.
viii	Lillian Machon d. 1974, Providence, RI. 14. Sophia Machon (2.Daniel2 , 1.Francoise1 ) b. 28-MAR-1843, bapt: 12-APR-1843, Murray Harbour, P.E.I., m. James LeLacheur , b. 29-DEC-1839, bapt: 11-JUL-1841, (son of Barthelemi (Bartholomew) LeLacheur and Margaret Jennings Hawkins) d. 1920, buried: Murray Harbour, P.E.I. Sophia died 1925, buried: Murray Harbour SO. 53.	i	Lillian b. 28-JUL-1867. ii	Margaret E. LeLacheur b. 1869, d. 1869, buried: Murray Harbour SO. iii	Cyrus LeLacheur b. 06-FEB-1871, bapt: 25-SEP-1871, m. Elizabeth May Hooper , b. 1870, (daughter of George Hooper and Jane Cowan Giddings). iv	Rosa Jane Boyer LeLacheur b. 12-SEP-1873, bapt: 31-AUG-1874, m. George MacDuff . v	Fred Wellington LeLacheur b. 13-NOV-1875, bapt: 21-JAN-1876, m. 14-NOV-1906, Emily Ellicott Murley , b. 17-APR-1883, (daughter of Richard Murley and Margaret MacDonald) d. 13-DEC-1968. Fred died 29-AUG-1957, buried: Murray Harbour SO. 15. William Henry Machon (2.Daniel2 , 1.Francoise1 ) b. 24-FEB-1848, bapt: 07-MAY-1848, Murray Harbour, P.E.I., m. Emily Campbell . i	Ethel Mary Machon b. ca. 1872, P.E.I., m. Frank Marr . ii	Ernest Machon b. ca. 1874, P.E.I. iii	Bertha Machon b. 1876, P.E.I. iv	Cecil Machon b. ca. 1878/1879. v	Sidney Machon b. ? ?-DEC-1880, P.E.I. vi	Percy Machon b. 1883. 16. Elizabeth Windsor Machon (3.Henry2 , 1.Francoise1 ) b. 25-DEC-1831, bapt: 07-OCT-1832, Murray Harbour, P.E.I., m. 1857, William Clements , b. ca. 1814, Bristol, England (? ), d. 23-MAY-1890, Murray Harbour, P.E.I., buried: Murray Harbour SO. Elizabeth died 1912, Murray Harbour, P.E.I., buried: Murray Harbour, P.E.I. i	Mary Matilda Clements b. 05-DEC-1859, Murray Harbour, P.E.I., bapt: 08-JUL-1860, d. 11-JAN-1863, Murray Harbour, P.E.I., buried: Murray Harbour SO. 54.	ii	Albert Windsor b. 03-FEB-1861. 55.	iii	Charlotte Frances b. 10-FEB-1866. 56.	iv	Cecilia Irene b. 09-MAY-1867. 17. Daniel Machon (3.Henry2 , 1.Francoise1 ) b. 06-MAR-1834, bapt: 13-APR-1834, Murray Harbour, P.E.I., m. Isabella (Bella) MacLeod , b. 17-JUL-1844, (daughter of John MacLeod and Elizabeth Ross) d. 14-FEB-1928, buried: Murray Harbour SO. Daniel died 20-APR-1911, buried: Murray Harbour SO. 57.	i	Reuben Wycliffe b. 01-JAN-1870. 58.	ii	Daniel Walter b. 16-JUN-1871. iii	Fredie Seymore Machon b. 20-MAY-1874, bapt: 03-SEP-1875, Murray Harbour, P.E.I. iv	Minnie F. Machon b. 16-JUN-1878, bapt: 09-JUL-1878, Murray Harbour, P.E.I., d. 06-JAN-1886, buried: Murray Harbour SO. 59.	v	Cecelia Marie b. 24-AUG-1883. vi	Gower Machon b. 03-FEB-1887. 18. Frances Machon (3.Henry2 , 1.Francoise1 ) b. 26-FEB-1836, bapt: 28-AUG-1836, Murray Harbour, P.E.I., m. Johnson Poole Harris , b. 1841, (son of George Harris and Jane MacLeod) d. 1875, buried: Murray Harbour SO. Frances died 1926, buried: Murray Harbour SO. i	Elizabeth Ann (Lizzie) Harris b. 07-JUL-1869, White Sands, P.E.I., bapt: 14-FEB-1870. 60.	ii	Nettie Poole b. ca. 1871.
iii	George Perley T(aylor) Harris b. 21-SEP-1872, White Sands, P.E.I., bapt: 05-MAY-1873, m. 04-MAY-1892(L), Barbara MacLeod , b. 14-OCT-1872, (daughter of George MacLeod and Mary MacDonald) d. 23-MAY-1943. George died 02-JUL-1942, buried: Murray Harbour SO. iv	Henry (Harry) Francis Harris b. 16-SEP-1874, bapt: 11-MAR-1875, d. 1939, buried: Murray Harbour SO. i	Benjamin James Machon b. 07-NOV-1867, bapt: 18-DEC-1867, d. 1936. 61.	ii	Henry Alexander b. 10-NOV-1869. Henry Alexander and son, Dan - Keeping the PEI tradition alive! iii	Charles Herbert Machon b. 27-OCT-1872, bapt: 05-FEB-1873. iv	Drusilla Malina Machon b. 26-SEP-1874, bapt: 25-MAY-1875, d. 24-APR-1876, buried: Murray Harbour SO. v	(Daughter) Machon d. young, buried: Murray Harbour SO. vi	Cedric Errol Machon b. ca. 1890, d. 08-SEP-1899, buried: Murray Harbour SO. vii	Pansy Machon b. 13-APR-1892, m. John Hampton Hawkins , b. 19-DEC-1881, (son of John LeLacheur Hawkins and Hannah M. MacNeill) d. 1953, buried: Murray Harbour SO. Pansy died 1963, buried: Murray Harbour SO. 20. Maria Jane Machon (3.Henry2 , 1.Francoise1 ) b. 07-JAN-1859, m. William Augustus Howe , b. 09-MAR-1847, bapt: 10-OCT-1847, (son of William Howe and Susanna B. Hawkins) d. 10-AUG-1903, buried: Murray Harbour SO. Maria died 17-JUN-1943, buried: Murray Harbour SO. i	Olof Conquest Howe b. ? ?-MAY-1877, bapt: ??-FEB-1878. ii	Hattie Howe b. ca. 1879, m. William Brodie . iii	Beersheba Howe b. ca. 1881. 62.	iv	Etta Blanche b. 1881.
v	Ella Howe b. ca. 1883, m. Charles Wadey . vi	Sarah Howe b. 12-JAN-1886, d. 03-JAN-1908, buried: Murray Harbour SO. 63.	vii	William Milton b. 12-MAR-1890. viii	Myrtle Howe b. 15-SEP-1893, m. Carl Spaulding . 21. Maria Jane Machon (4.William2 , 1.Francoise1 ) b. 22-DEC-1831, bapt: 07-OCT-1832, Murray Harbour, P.E.I., m. 03-FEB-1853, Henry Brehaut , b. 04-FEB-1823, Murray Harbour, P.E.I., bapt: 02-AUG-1826, Murray Harbour, P.E.I., (son of Henry Brehaut and Frances Thorne) d. 1911, buried: Murray Harbour SO. Maria died 1912, buried: Murray Harbour SO. i	Alexander Brehaut b. 15-JUN-1854, d. 18-NOV-1856, buried: Murray Harbour SO. 64.	ii	Frances Ann b. 1857. 65.	iii	Charlotte b. 22-AUG-1860. iv	Priscilla Brehaut b. ca.1865. v	Bessie Hawklns Brehaut b. ca. 1868, m. James Reid . 66.	vi	Peter James b. 11-MAR-1870. 22. Elizabeth Machon (4.William2 , 1.Francoise1 ) b. 01-MAR-1832, m. Daniel Brehaut , b. 14-APR-1827, Murray Harbour, P.E.I., bapt: 20-APR-1828, Murray Harbour, P.E.I., (son of Henry Brehaut and Frances Thorne) d. 23-JUL-1908, buried: Murray Harbour SO. Elizabeth died 14-MAY-1909, buried: Murray Harbour SO. i	Albert Brehaut b. ca. 1860.
ii	Henry F. Creighton Brehaut b. 1861, d. 04-DEC-1865, buried: Murray Harbour SO. iii	Lucy Brehaut b. ca. 1864, m. Ambrose Gordon . iv	Maria Jane Brehaut b. 27-JUN-1869. 23. William Machon (4.William2 , 1.Francoise1 ) b. 12-SEP-1839, P.E.I., bapt: 26-JAN-1840, m. Margaret Jennings LeLacheur , b. 03-APR-1847, bapt: 09-MAY-1848, (daughter of Barthelemi (Bartholomew) LeLacheur and Margaret Jennings Hawkins) d. 1908, buried: Murray Harbour SO. William died 1933, buried: Murray Harbour SO. 67.	i	Penelope Ann b. 08-MAY-1870. 68.	ii	Gertrude Payson b. 04-MAR-1873. 69.	iii	William Lebert b. 27-SEP-1877. 24. Catherine Machon (4.William2 , 1.Francoise1 ) b. 09-DEC-1842, P.E.I., m. George White , b. 18-OCT-1838, P.E.I., bapt: 21-OCT-1838, (son of Obediah White and Catherine Jenkins) d. 17-NOV-1875, buried: Murray Harbour SO. i	Silas Alfred White b. 01-JAN-1865, bapt: 30-JAN-1865. 70.	ii	Frederick Henry b. 13-DEC-1865. iii	Matilda White b. ca. 1868, m. Herman Wright . 71.	iv	Harriet Isabel b. 13-MAR-1869. v	George Herbert White b. ca. 1874, d. 14-MAY-1884, buried: Murray Harbour SO. 25. Margaret Nicolle (5.Elizabeth2 , 1.Francoise1 ) b. 22-SEP-1822, P.E.I., bapt: Murray Harbour, P.E.I., m. 1842, in Murray Harbour, P.E.I., Thomas Jackson Henry , b. 1815, St. Peter Port, Guernsey, d. 09-JAN-1899, buried: Georgetown, P.E.I. (United Church Cem.). Margaret died 17-MAY-1902, buried: Georgetown, P.E.I. (United Church Cem.). i	John Sullivan Henry b. 13-SEP-1843, Murray Harbour, P.E.I., bapt: ? ?-NOV-1843, d. 20-JAN-1921, Calgary, AB, buried: 22-JAN-1921, Calgary, AB (Union Cemetery). ii	Elizabeth Henry b. 14-AUG-1845, bapt: 14-DEC-1845. 72.	iii	Thomas b. 23-NOV-1847. iv	Charles Copp Henry b. 14-NOV-1849, bapt: 26-MAY-1850. 73.	v	Elkanah James b. 07-AUG-1851. vi	Margaret Ann Henry b. 18-AUG-1853, bapt: 18-JUN-1854. vii	Benjamin Henry b. 05-DEC-1855, bapt: 08-MAY-1856. viii	Mark Watson Henry b. 15-DEC-1857, bapt: 27-JUN-1858. ix	William Nicolle Henry b. 13-NOV-1859, bapt: 03-JUN-1860. 74.	x	Ezra Matthew b. 24-JUL-1862. 75.	xi	Mary Ella Jane b. 24-NOV-1865. 26. John Thomas Nicolle (5.Elizabeth2 , 1.Francoise1 ) b. 16-FEB-1833, bapt: 24-MAR-1833, Murray Harbour, P.E.I., m. 09-MAR-1857, Elizabeth Horton Clements , b. 27-SEP-1837, Murray Harbour, P.E.I., bapt: 21-OCT-1838, (daughter of William Clements and Mary Ann Sencabaugh) d. 16-JAN-1925. John died 24-MAY-1914, White Sands, P.E.I., buried: Murray Harbour, P.E.I. 76.	i	Mary Ann (Mae) Clements b. 24-DEC-1857. 77.	ii	Jane Elizabeth b. 21-DEC-1859. iii	Louisa Margaret Nicolle b. 29-FEB-1862, White Sands, P.E.I., bapt: 24-AUG-1862, Murray Harbour, P.E.I., d. 25-JUL-1955, Guernsey Cove, P.E.I. 78.	iv	William John (Red Will) b. 28-MAY-1864. 79.	v	Oliver Cromwell b. 15-MAY-1867. 80.	vi	Herbert Howard b. 03-OCT-1871. 81.	vii	Laura Cecilia b. ??-MAR-1874. 82.	viii	Lucius James b. 24-FEB-1877. ix	Albert Windsor Nicolle b. 19-APR-1879, White Sands, P.E.I., d. 08-MAY-1880, White Sands, P.E.I., buried: Murray Harbour, P.E.I. x	Alberta Maria Nicolle b. 19-APR-1879, White Sands, P.E.I., d. 12-MAY-1880, White Sands, P.E.I., buried: Murray Harbour, P.E.I. 27. William Pullem Nicolle (5.Elizabeth2 , 1.Francoise1 ) b. 06-JAN-1835, bapt: 13-SEP-1835, m. Janet Eliza (Jane) Arnett , b. 1837, Kings Co., PEI, d. 17-MAR-1871, buried: Crapaud Cemetery, PEI. i	William Henry Nicolle b. ca. 1857, m. (1) Unknown , b. New Brunswick, m. (2) Anna Rossiter . William died ca. 1950, Providence, RI. 83.	ii	John Thomas b. 1859. 84.	iii	Hammond Johnston b. 03-FEB-1868. 28. Elizabeth Catharine Cowan Nicolle (5.Elizabeth2 , 1.Francoise1 ) b. 21-NOV-1838, White Sands, P.E.I., bapt: 26-JAN-1840, Murray Harbour, P.E.I., m. (1) Neil Penny , b. ? ?-SEP-1842, bapt: 06-MAR-1843, (son of James Penny and Isabella MacKay) d. bef. 1879, m. (2) 20-AUG-1879, James Clark , b. ca. 1847, P.E.I. Elizabeth died 1930, Forest Hills, Boston, MA. i	Elizabeth Catherine McLane Penny b. 18-JAN-1865, bapt: 06-SEP-1865. ii	Samuel Penny b. 17-JUN-1867, bapt: 19-JUN-1867. iii	Eliza Mary Penny b. 17-MAY-1871, bapt: 31-AUG-1873, m. 20-APR-1892(L), David Sanders , b. 06-APR-1870, Murray River, P.E.I., bapt: 05-JUN-1870, (son of Robert Sanders and Elizabeth McLeod) d. 29-JAN-1899, buried: Gladstone Pioneer Cemetery, Murray River. iv	Isabella Jane Penny b. 26-APR-1873, bapt: 31-AUG-1873. v	Eldridge N. Clark b. 1881. 29. Catherine Margaret Machon (6.Thomas2 , 1.Francoise1 ) b. 13-JAN-1833, bapt: 24-MAR-1833, Murray Harbour, P.E.I., m. John Roberts , b. 11-MAY-1819, bapt: 18-JUL-1819, (son of Hilary (Heliere) Roberts and Susanna __________) d. 13-OCT-1893, buried: Murray Harbour SO. Catherine died 18-MAY-1925, buried: Murray Harbour SO. 86.	i	Alice Maria b. 04-AUG-1863. ii	Hillary Mark Roberts b. 15-NOV-1864, bapt: 13-APR-1865, d. 1939, buried: Murray Harbour SO. 87.	iii	Priscilla Anne (Annie) b. 08-FEB-1866. iv	Rachel Jane Roberts b. 13-NOV-1867, bapt: 13-APR-1868, m. Joseph Sutcliffe . 30. John T. Machon (6.Thomas2 , 1.Francoise1 ) b. 29-DEC-1834, bapt: 13-SEP-1835, Murray Harbour, P.E.I., m. (1) Elizabeth Roberts , b. 1834, d. 1875, buried: Murray Harbour SO, m. (2) Mary Ann Moore , b. 1844, d. 1902. John died 1921, buried: Murray Harbour SO. i	Harriot Ann Machon b. 01-APR-1860, bapt: 27-MAY-1860. ii	Sarah Machon b. ca. 1860, P.E.I., m. William Glover . iii	Rachel Jane Machon b. 29-AUG-1861, bapt: 07-SEP-1861. 88.	iv	Charles Thomas b. 30-NOV-1863. v	Joseph Hillary Machon b. 12-OCT-1865, bapt: 20-MAR-1866, m. (1) Mary Sooner , m. (2) Emily Craven . Joseph died 1966.
vi	Daniel George Machon b. 20-JUN-1867, bapt: 05-NOV-1867, m. Janet Marshall . 89.	vii	Matilda b. 24-APR-1868. viii	Harriet Machon b. ca. 1869, P.E.I. 90.	ix	Peter J. b. ca. 1871.
x	Mary Ellen Machon b. ca. 1872, P.E.I., m. Albert Stuttard . xi	Rebecca Machon b. ca. 1874, P.E.I., m. Thomas Brooks . xii	Lauretta Machon b. 29-DEC-1882, m. David Brooks , b. 05-JAN-1860, bapt: 27-NOV-1860, (son of John Brooks and Ann Bell) d. 30-JAN-1939, buried: Murray Harbour SO. Lauretta died 10-OCT-1964, buried: Murray Harbour SO. 31. William James Machon (6.Thomas2 , 1.Francoise1 ) b. 12-MAR-1841, bapt: 11-JUL-1841, Murray Harbour, P.E.I., m. 09-JUL-1865, Susannah Sencabaugh , b. 18-AUG-1843, bapt: 10-SEP-1843, (daughter of Benjamin Sencabaugh and Elizabeth LeLacheur). i	Elizabeth Rachael Machon b. 21-MAY-1864, bapt: 24-JUN-1864, Murray Harbour, P.E.I., m. George Jenks . ii	Maria Machon b. 18-NOV-1865, bapt: 04-JUN-1866, m. Thomas Jenks . iii	Albert Benjamin Machon b. 21-JAN-1868, bapt: 29-MAR-1868, d. Michigan. iv	Sarah Machon m. (1) Daniel MacLeod , m. (2) Arthur Fielding . v	William Machon m. Anne Browning . vi	Bertha Machon m. Byron Reid . vii	Clarence Machon m. Abby __________ . 32. Samuel Machon (6.Thomas2 , 1.Francoise1 ) b. 26-JUL-1845, bapt: 10-AUG-1845, Murray Harbour, P.E.I., m. Emily Alley Jane Davey , b. ? ?-DEC-1847, bapt: 30-JUL-1848, (daughter of Charles Davey and Elizabeth Mary Richards) d. 1915, buried: Murray Harbour SO. Samuel died 14-APR-1907, buried: Murray Harbour SO. i	Jane Machon b. ca. 1871, m. Robert MacDuff . ii	Lydia Machon b. ca. 1873, m. Leroy Morrel . iii	Rosa Mary Machon b. ca. 1875, m. Neil Crawford . iv	Charles Hubert Machon b. ca. 1878, m. Lena MacKay . Charles died 31-JAN-1902. 33. Ann Machon (6.Thomas2 , 1.Francoise1 ) b. 06-AUG-1847, bapt: 29-AUG-1847, Murray Harbour, P.E.I., m. (1) James Jonathan Davey , b. ca. 1845, bapt: 28-JUN-1845, (son of Charles Davey and Elizabeth Mary Richards) m. (2) 31-MAR-1888(L), John A. Hingley , b. 1849, Nova Scotia, d. 1930, buried: Murray Harbour SO. Ann died 03-FEB-1926, buried: Murray Harbour SO. i	John B. Davey b. 12-APR-1871, m. 28-JUN-1899(L), Christine MacDonald , b. 29-AUG-1862. John died 01-DEC-1918, buried: Murray River Cemetery. 91.	ii	Thomas Reuben b. 17-AUG-1872. 92.	iii	Maria Jane b. ca. 1877. 34. Henry Joseph Machon (6.Thomas2 , 1.Francoise1 ) b. 31-MAY-1849, bapt: 15-JUL-1849, Murray Harbour, P.E.I., m. 14-FEB-1881(L), Margaret H. MacDonald , b. 21-FEB-1854, Glasgow, Scotland, d. 08-MAR-1948, buried: Murray Harbour SO. Henry died 08-JUL-1910, buried: Murray Harbour SO. 93.	i	Horatio Brehaut b. 31-JAN-1882. ii	Alfred Brehaut Machon b. 22-NOV-1885, d. 193?, Los Angeles, buried: Murray Harbour SO. 35. Eleanor Mary Hawkins (7.Nancy2 , 1.Francoise1 ) b. 27-OCT-1835, Murray Harbour, P.E.I., bapt: 28-AUG-1836, m. George Roberts . i	David George Roberts b. 16-NOV-1857, bapt: 30-MAY-1858. ii	Hillary Matthias Roberts b. 14-SEP-1859, bapt: 07-NOV-1859, d. 07-NOV-1859. 36. William Mitchell Hawkins (7.Nancy2 , 1.Francoise1 ) b. 09-OCT-1841, Murray River, P.E.I., bapt: 06-MAR-1843, m. ? ?-AUG-1866, Sarah MacLeod , b. 01-JUL-1839, P.E.I. 94.	i	David Matthias b. 14-FEB-1866. 95.	ii	Louisa Ann b. 10-SEP-1869. iii	John Hawkins b. ca. 1871, P.E.I. iv	George Albert Hawkins b. ca. 1872, P.E.I., d. 21-MAR-1894, buried: Gladstone Pioneer Cemetery, Murray River. 37. Priscilla Jane Hawkins (7.Nancy2 , 1.Francoise1 ) b. 1843, Murray River, P.E.I., bapt: 10-MAR-1847, m. 1866, Henry Alline Bears , b. 29-DEC-1841, Canso, NS, (son of David Bears and Dorcas Whitman) d. 1909, Murray River, P.E.I., buried: Murray Harbour SO. Priscilla died 1926, buried: Murray Harbour SO. 96.	i	Eleanor Lavinia b. 27-APR-1867. 97.	ii	Elizabeth Ann b. 1869.
iii	David Matthias Bears b. 1869. 98.	iv	Alexandra Louise Ally b. 04-MAY-1871. 99.	v	Cyrus Wilfred b. 03-DEC-1875. vi	Elsie Gertrude Bears b. 1878, d. 1885. 100.	vii	Ralph Rosco b. 08-JAN-1883. 101.	viii	Sidney Whitfield b. 1887. 102.	ix	Henry Alline b. 1890. 38. Esther Marchon (8.John2 , 1.Francoise1 ) b. 22-APR-1839, bapt: 11-JUL-1841, Murray Harbour, P.E.I., m. Joseph Clarke Thompson , b. 20-MAY-1833, bapt: 06-APR-1834, (son of Robert Thompson and Anne __________) d. 26-JUN-1909, buried: Sturgeon, PEI, United Baptist Cemetery. Esther died 17-DEC-1922, buried: Sturgeon, PEI, United Baptist Cemetery. i	Kezia Thompson d. young. ii	Ann Thompson b. 09-MAR-1862, bapt: 13-AUG-1862. 103.	iii	Robert b. 22-JUL-1867. iv	Esther Thompson b. ca. 1869, d. 1947.
v	Priscilla Thompson b. ca. 1872.
vi	Martha Thompson b. 1873. 104.	vii	John b. 25-NOV-1873. 39. John Machon (8.John2 , 1.Francoise1 ) b. 01-OCT-1845, bapt: 10-MAY-1847, Murray Harbour, P.E.I., m. Frances Brown Brooks , b. 15-MAR-1851, bapt: 08-FEB-1851, (daughter of John Brooks and Ann Bell). John died 05-JUL-1883, buried: Murray Harbour SO. i	Ira D. Machon b. ca. 1879. 40. Peter James VanIderstine (9.Elizabeth3 , 2.Daniel2 , 1.Francoise1 ) b. 06-NOV-1865, bapt: 04-JUN-1866, Murray Harbour, P.E.I., m. (1) 31-JUL-1897(L), Eleanor Lavinia Bears , b. 27-APR-1867, Gladstone, PEI, bapt: 24-AUG-1867, (daughter of Henry Alline Bears and Priscilla Jane Hawkins) d. 1908, buried: Murray Harbour SO, m. (2) Christine Martin , b. 1867/68, d. 1948, buried: Caledonia Cemetery, P.E.I. Peter died 1939, buried: Murray Harbour SO. i	Gladys VanIderstine b. ??-AUG-1899. ii	Myra VanIderstine b. 11-OCT-1900. iii	Morris VanIderstine m. Florence M. Campbell , b. 1923, d. 1970, buried: Valleyfield, P.E.I. (Valleyfield Presb.). 41. Daniel Mark Sencabaugh (10.Mary3 , 2.Daniel2 , 1.Francoise1 ) b. 25-JAN-1858, bapt: 12-APR-1858, m. 20-DEC-1883, Annie Elizabeth (Nancy) Horton , b. 10-JAN-1865, (daughter of Ambrose Cleaves Horton and Jane Rachel Lowe) d. 02-JAN-1965, buried: Murray Harbour, P.E.I. Daniel died 23-MAR-1930, buried: Murray Harbour, P.E.I. i	Mary Jane Sencabaugh b. 25-SEP-1884, m. John R. Hansford . Mary died 1948.
ii	Harriet Sencabaugh b. 14-NOV-1886, m. John Henry Hunt . Harriet died 08-FEB-1978. iii	Ada Sencabaugh b. 19-MAY-1889, m. ca. 1909, in Malden, Middlesex Co., MA, John A. Cassaboom , b. ca. 1885. Ada died 1973, buried: 11-OCT-1973, Forest Dale Cemetery?. iv	Reuben Ernest Sencabaugh b. 08-JAN-1892, d. 28-APR-1911, buried: Murray Harbour, P.E.I. v	Avalina Elizabeth Sencabaugh b. 17-DEC-1896, m. (1) Hollis Wilbur Allen , m. (2) Arthur G. Haberlin , (son of Edward Haberlin and Effie M. Livingstone). Avalina died 01-MAR-1978. vi	Cecilia Dorothy Sencabaugh b. 23-JUN-1899, d. 14-OCT-1990, Melrose, MA. vii	Percival Arthur Sencabaugh b. 22-JUL-1902, m. Glenna Clark . Percival died 14-FEB-1987. viii	Edna Hazel Sencabaugh b. 06-JAN-1907, m. 02-JUL-1941, Carl Thompson Richards , b. 30-NOV-1897, (son of James William Richards and Bertha May MacKay) d. 27-MAY-1987, buried: Murray Harbour SO. Edna died 08-NOV-1996, buried: 10-NOV-1996, Murray Harbour, P.E.I. 42. Maria Margaret Sencabaugh (10.Mary3 , 2.Daniel2 , 1.Francoise1 ) b. 14-FEB-1859, bapt: 15-MAY-1859, m. 22-NOV-1879(L), Samuel ("Sam The Chief") Martin MacLeod , b. 17-JUL-1859, P.E.I., d. 1925, buried: Murray Harbour SO. Maria died 1925, buried: Murray Harbour SO. i	Minnie Florence MacLeod b. 16-JAN-1880. ii	Mabel Laura MacLeod b. 1882, m. Arthur White , b. 27-NOV-1887, (son of Joseph White and Lavinia (Viney) Weatherbie). Mabel died 1941, buried: Murray Harbour SO. iii	Mary Ann (Annie) MacLeod b. 08-JAN-1883, m. ? ?-DEC-1905, Charles H. Babcock . iv	Eber MacLeod b. 10-OCT-1886, m. Ida May Beck , b. 16-JUL-1894, (daughter of Bartholomew John Beck and Jane MacKay) d. 02-DEC-1940, buried: Murray Harbour SO. Eber died 1967, buried: Murray Harbour SO. v	William Ernest MacLeod b. 18-AUG-1888, m. Ella __________ . vi	Malcolm MacLeod b. 1889, m. Mary MacLennan . vii	Frederick (Charles?) MacLeod b. 10-NOV-1890. viii	Frederick MacLeod b. 10-NOV-1890, m. Margaret Jane Strickland , b. 08-AUG-1894, (daughter of Philip Strickland and Caroline Matilda White) d. 28-APR-1977, buried: Murray Harbour SO. Frederick died 11-MAY-1957, buried: Murray Harbour SO. ix	Katie Jane MacLeod b. 10-AUG-1891, m. 10-APR-1920, Elliot Lyman Williams , b. 17-NOV-1889, (son of Abraham Williams and Elizabeth Herring) d. 09-APR-1965, buried: Beach Point Cemetery, P.E.I. Katie died ? ?-DEC-1963, buried: Beach Point Cemetery, P.E.I. x	Elizabeth Adelaide MacLeod b. 17-JAN-1895, m. William Albert MacDonald , b. 07-OCT-1884, bapt: 04-JUL-1886, (son of Archibald ("Young Archie") McDonald, Jr. and Hannah Elizabeth Horton) d. 12-AUG-1957, buried: Murray Harbour SO. Elizabeth died 26-MAY-1962, buried: Murray Harbour SO. xi	Joseph MacLeod b. 02-APR-1896. xii	Daniel Ban MacLeod b. 18-AUG-1897, m. Lucy Livingstone , b. 27-DEC-1900. Daniel died 10-AUG-1966. xiii	John E. Winsloe MacLeod b. 21-MAY-1901, d. 19-FEB-1918, buried: Murray Harbour SO. 43. Matilda Ann Sencabaugh (10.Mary3 , 2.Daniel2 , 1.Francoise1 ) b. 04-SEP-1860, bapt: 03-MAR-1861, m. 27-FEB-1883(L), John Philip Horton , b. 24-AUG-1855, Murray Harbour, P.E.I., bapt: 04-NOV-1855, (son of Ambrose Cleaves Horton and Jane Rachel Lowe) d. 1920, Murray River, P.E.I., buried: Murray River Cemetery (no stone). Matilda died 06-MAR-1954, Boston, MA, buried: Mount Hope Cemetery (Boston). i	Mary Adelaide Horton b. 04-NOV-1883, m. 26-MAR-1902(L), Charles Hayter , b. 1884, (son of Thomas Hayter and Grace A. Moore). Mary died 1965.
ii	Watson Henry Horton b. 02-MAR-1885, m. Ellen Ripley . Watson died 1959, buried: Murray River Cemetery. iii	John Silas Horton b. 24-SEP-1886, m. (1) 28-JUL-1909, Elizabeth Bull , m. (2) Estella Hart . iv	Thomas Mark Horton b. 17-JUL-1889, m. Edith Jamieson . v	Minnie Florence Matilda Horton b. 16-OCT-1890, m. Jack Ambrose Locke . vi	Russell Charles Horton b. 01-APR-1896, m. Sadie Harriet Beck , b. 21-SEP-1901, (daughter of John Penny Beck and Sarah MacDonald) d. 15-NOV-1989. vii	Jane Rachel Horton b. 05-FEB-1899, m. Angus MacLean . viii	Lucy Hazel Horton b. 08-MAR-1902, m. John Edward Harrigan . 44. Frances Charlotte Sencabaugh (10.Mary3 , 2.Daniel2 , 1.Francoise1 ) b. 26-OCT-1861, bapt: 20-MAR-1862, Murray Harbour, P.E.I., m. 28-SEP-1880, in Murray Harbour, PEI (Trinity Church), Hugh Jackson , b. 1857, Beach Point, P.E.I., (son of Hugh B. Jackson, Sr. and Ann MacKay) d. 21-MAY-1919, Beach Point, P.E.I., buried: Beach Point Cemetery, P.E.I. Frances died 15-JUL-1929, Boston, MA, buried: Beach Point Cemetery, P.E.I. i	Lucinda Margaret Jackson b. 25-APR-1881, Beach Point, P.E.I., m. 28-NOV-1906, in New Glasgow, NS (New Glasgow Meth. Ch., Richard Clark , b. 1882, Tilt Cove, NF, d. 16-APR-1935, Stellarton, NS, buried: New Glasgow, NS (Brookside Cemetery). Lucinda died 20-FEB-1965, New Glasgow, NS, buried: New Glasgow, NS (Brookside Cemetery). ii	Ina Florence Jackson b. 03-JUN-1882, d. 05-FEB-1909, Lexington, MA. iii	Howard Bethel Jackson b. 20-SEP-1884, Beach Point, P.E.I., d. 04-AUG-1906, Beach Point, P.E.I., buried: Beach Point Cemetery, P.E.I. iv	Eben Louis Jackson b. 18-OCT-1885, Beach Point, P.E.I., m. 18-OCT-1930, in Buffalo, NY, Margaret Ferguson , b. 06-JAN-1896, Motherwell, Scotland, d. 30-MAY-1982, Buffalo, NY, buried: Buffalo, NY (ElmLawn Cemetery). Eben died 09-OCT-1964, Buffalo, NY, buried: Buffalo, NY (ElmLawn Cemetery). v	Francis Arthur Jackson b. 01-FEB-1887, Beach Point, P.E.I., m. 13-DEC-1913, in Murray Harbour, P.E.I., Rosella May Herring , b. 12-MAY-1894, Murray Harbour, P.E.I., (daughter of John Pasco Herring and Martha Lucy Beck) d. 17-JUL-1957, Montague, P.E.I. Francis died 02-FEB-1946, Murray Harbour, P.E.I., buried: Murray Harbour SO. vi	Edith May Jackson b. 17-MAR-1888, Beach Point, P.E.I., m. 06-MAY-1910, Edward B. Cameron , b. 09-JUL-1889, Trenton, NS, d. 06-MAY-1955, Trenton, NS, buried: Trenton, NS (Hillside Cemetery). Edith died 19-MAY-1972, Trenton, NS, buried: Trenton, NS (Hillside Cemetery). vii	Hugh Freeman Jackson b. 12-APR-1889, Beach Point, P.E.I., m. 27-AUG-1918, in Houlton, ME, Lilly Alexander , b. 05-MAR-1890, Belfast, No. Ireland, d. 22-FEB-1961, Lexington, MA, buried: 24-FEB-1961, Lexington, MA (Westview Cemetery. Hugh died 22-FEB-1974, MA, buried: Beach Point Cemetery, P.E.I. viii	Azetta Emiline (Zettie) Jackson b. 12-MAY-1890, Beach Point, P.E.I., m. 14-NOV-1914, in Arlington, MA, Clifford Bell , b. 25-FEB-1890, Murray Harbour, P.E.I., (son of Alexander Bell and Mary Ellen Hyde) d. ? ?-OCT-1964, buried: Arlington, MA (Mt. Pleasant Cemetery). Azetta died 13-MAR-1965, Arlington, MA, buried: Arlington, MA (Mt. Pleasant Cemetery). ix	John Milton Jackson b. 15-AUG-1891, Beach Point, P.E.I., bapt: 24-MAR-1992, Murray Harbour, P.E.I., d. 19-JUL-1892, Beach Point, P.E.I., buried: Beach Point Cemetery, P.E.I. x	Velda Ann Jackson b. 04-DEC-1892, Beach Point, P.E.I., d. 02-JUN-1912, Beach Point, P.E.I., buried: Beach Point Cemetery, P.E.I. xi	John Fletcher Jackson b. 12-SEP-1894, Beach Point, P.E.I., m. ? ?-JUL-1917, in Beach Point, P.E.I., Sadie Caroline Mason , b. 08-NOV-1896, Beach Point, P.E.I., d. 16-OCT-1988, Beach Point, P.E.I., buried: Beach Point Cemetery, P.E.I. John died 16-MAR-1981, Beach Point, P.E.I., buried: Beach Point Cemetery, P.E.I. xii	Minnie Alberta Jackson b. 09-MAR-1897, Beach Point, P.E.I., d. 28-JUN-1904, Beach Point, P.E.I., buried: Beach Point Cemetery, P.E.I. xiii	Hattie Jane Jackson b. 04-DEC-1898, Beach Point, P.E.I., m. 04-OCT-1922, in Murray Harbour SO, Victor A. Strickland , b. 19-MAY-1892, Cape Bear, P.E.I., (son of Philip Strickland and Caroline Matilda White) d. 17-MAR-1979, Murray Harbour SO, buried: Murray Harbour SO. Hattie died 05-MAY-1974, Murray Harbour, P.E.I., buried: Murray Harbour SO. xiv	Rose Ella Jackson b. 21-JUN-1900, Beach Point, P.E.I., m. 01-OCT-1923, in Boston, MA, Earl Campbell Brown , b. 19-OCT-1897, Malden, MA, d. 18-SEP-1989, Weymouth, MA, buried: 20-SEP-1989, Pembroke, MA. Rose died 25-MAR-1975, Boston, MA, buried: Pembroke, MA. xv	Gertrude Lillian Jackson b. 25-JUL-1901, Beach Point, P.E.I., m. 03-JUN-1930, in Wollaston, MA, Peter Grant , b. 22-JUN-1899, Upper Stewiacke, NS, d. 11-NOV-1992, LaMesa, CA, buried: San Diego, CA (Cypress View Mausoleum). Gertrude died 03-DEC-1989, LaMesa, CA, buried: 06-DEC-1989, San Diego, CA (Cypress View Mausoleum). xvi	Clifford Stanley Jackson b. 26-OCT-1902, Beach Point, P.E.I., m. (1) 10-MAY-1930, May Clow , b. 1901, (daughter of David Benjamin Clow and Isabelle MacLeod) d. 17-APR-1931, childbirth, buried: Beach Point Cemetery, P.E.I., m. (2) 14-APR-1934, Elizabeth Dorothy Gosbee , b. 18-NOV-1912, (daughter of Thomas Osborne Gosbee and Harriet Caroline Penny). Clifford died 20-FEB-1961, Beach Point, P.E.I., buried: Beach Point Cemetery, P.E.I. xvii	Albert Eugene Jackson b. 20-JUN-1904, Beach Point, P.E.I., m. 26-JUL-1930, in Buffalo, NY, Grace Izatt Beveridge , b. 05-DEC-1905, Cowdenbeath, Scotland, d. 07-FEB-1989, St. Petersburg, FL, buried: 13-FEB-1989, Lewiston, NY (Memorial Park Cemetery). Albert died 15-MAR-1966, Niagara Falls, NY, buried: Lewiston, NY (Memorial Park Cemetery). xviii	Myrtle Alviria Jackson b. 17-NOV-1905, Beach Point, P.E.I., d. 19-JUN-1906, Beach Point, P.E.I., buried: Beach Point Cemetery, P.E.I. xix	stillborn baby Jackson b. 1907, d. 1907. 45. Silas David Sencabaugh (10.Mary3 , 2.Daniel2 , 1.Francoise1 ) b. 23-JAN-1863, bapt: 15-JUL-1863, m. 04-OCT-1884, Eliza Charlotte Beck , b. 29-APR-1862, bapt: 21-AUG-1862, Murray Harbour, P.E.I., (daughter of John Beck and Elizabeth Sencabaugh) d. 07-JUN-1937, Charlottetown, P.E.I., buried: Murray Harbour SO. Silas died 08-JUL-1912, buried: Murray Harbour SO. i	Louis Arthur Sencabaugh b. 1885, d. 1886, buried: Murray Harbour SO. ii	Florence Elizabeth Sencabaugh b. 02-SEP-1888, m. 1907, James Whitney Derby , b. 04-DEC-1886, (son of James Derby and Ann Giddings). iii	William S. Sencabaugh b. 1889, d. 1889, buried: Murray Harbour SO. iv	Elsie Mary Sencabaugh b. 09-FEB-1890, m. Wallace William MacKay , b. 1880, (son of James MacKay and Susanna Tewkesbury Robin) d. 1964, buried: Murray Harbour SO. Elsie died 1941, buried: Murray Harbour SO. v	Ruth Pearl Sencabaugh b. 02-MAR-1893, m. 1910, James Foster Irving , b. 14-NOV-1888, (son of William T. Irving and Mary Elizabeth White) d. 25-JUL-1961. Ruth died 19-AUG-1962. vi	John Milton Sencabaugh b. 20-MAR-1895, d. 1916, buried: Murray Harbour SO. vii	Melida Blanche Sencabaugh b. 18-MAR-1898, m. (1) 1916, Simon Jordan , b. 21-FEB-1889, (son of Joshua Jordan and Mary Hume) d. 1935, buried: Beach Point Cemetery, P.E.I., m. (2) Milburn Stewart , b. 26-JUN-1901, (son of John E. Stewart and Alfreda Schurman Jordan) d. 06-DEC-1973, buried: Murray Harbour SO. Melida died 11-FEB-1983, buried: Murray Harbour, P.E.I. viii	Lulu Minnie Sencabaugh b. 12-JUN-1900, m. 1917, William T. Irving , b. 14-DEC-1889, (son of William T. Irving and Mary Elizabeth White). Lulu died 19-NOV-1980. ix	Thelma Ruby Sencabaugh b. 1905, d. 1906, buried: Murray Harbour SO. 46. Olivia Sencabaugh (10.Mary3 , 2.Daniel2 , 1.Francoise1 ) b. 20-NOV-1865, bapt: 20-JUN-1866, m. 24-MAR-1884, John Eliot Winsloe , b. 07-MAR-1857, bapt: 09-SEP-1862, Murray Harbour, P.E.I., (son of __________ Winsloe and Elizabeth Jane Jordan) d. 08-JUN-1941, buried: Murray Harbour SO. Olivia died 05-SEP-1899. i	Walter Winsloe b. 20-NOV-1884, d. 1934, buried: Murray Harbour SO. ii	Amelia A. (Minnie) Winsloe b. 27-NOV-1890, d. 01-DEC-1969, buried: Murray Harbour SO. 47. Solomon Luke Sencabaugh (10.Mary3 , 2.Daniel2 , 1.Francoise1 ) b. 22-AUG-1867, bapt: 18-DEC-1867, m. Lillian Watson , b. ? ?-JUN-1872, England. Solomon died 25-MAY-1942, Centredale, RI. i	Earl Sencabaugh b. ??-MAY-1894. ii	Lavinia Sencabaugh b. ??-DEC-1896. 48. Adelaide Sencabaugh (10.Mary3 , 2.Daniel2 , 1.Francoise1 ) b. 22-SEP-1869, m. Augustus Fletcher . ii	Roy Fletcher b. 1905, d. ca. 1983.
iii	Muriel Ruth Fletcher b. 1914, m. 30-APR-1934, Amos Willoughby Ryerson , b. 30-SEP-1909. Muriel died 19-JUN-1991. 49. Daniel Charles Machon (11.Daniel3 , 2.Daniel2 , 1.Francoise1 ) b. 1872, Providence, RI, m. Sarah MacKenzie , b. 1884, Sydney, NS. i	Charles Machon b. 1914, m. Jessie LeBrocuy , b. 1925.
ii	Edmund K. Machon b. 1916, m. Elizabeth Robinson , b. Boston, MA. 50. Charles Vere Machon (13.John3 , 2.Daniel2 , 1.Francoise1 ) b. 1870, m. Euphemia MacKay , d. 1913, SASK. Charles died 1956.
i	Archibald T. Machon b. 1894, Providence, RI, m. Gertrude Smith . ii	John T. Machon b. 1897, m. Ethel Ayer . John died 1975, Kingston, RI. iii	Charles Vere Machon b. 1898, m. Lillian Hunter . Charles died 1972, Providence, RI. iv	Norman H. Machon b. 1900, m. Elsie Knowles . v	Euphemia Machon b. 1902, Providence, RI, m. Nelson Hoxsie . vi	Herbert William Machon b. 1911, Victoria, BC, m. Dorothy Howard . vii	Ruth Machon b. 1913. 51. Herbert J. Machon (13.John3 , 2.Daniel2 , 1.Francoise1 ) m. Margaret Murphy . i	Herbert J. Machon, Jr. b. 1917, Providence, RI. 52. Stella Jane Machon (13.John3 , 2.Daniel2 , 1.Francoise1 ) b. 1878, Providence, RI, m. William Berry . Stella died 1957, Providence, RI. i	Hope C. Berry b. 1917, m. Raymond Stockley . 53. Lillian LeLacheur (14.Sophia3 , 2.Daniel2 , 1.Francoise1 ) b. 28-JUL-1867, m. William Silas Hugh , b. 26-OCT-1863, bapt: 12-MAY-1864, Murray Harbour, P.E.I., (son of David Hugh and Ann Frances Brooks) d. 1942, buried: Murray Harbour SO. Lillian died 1950, buried: Murray Harbour SO. i	Edith Boyce Hugh b. 08-MAY-1899, d. 1948, buried: Murray Harbour SO. iii	Silas D. Hugh b. 27-JUN-1906, m. 1925, Florence Louise Bowles , b. ca. 1906, (daughter of Archibald Bowles and Margaret Elizabeth Lowe). Silas died 10-MAY-1989, King's County, P.E.I. iv	Edna Sophia Hugh b. 09-MAR-1904, m. 29-JUL-1932, David VanIderstine , b. 07-JUL-1895, (son of John Thomas VanIderstine and Mary Kerwin) d. 06-OCT-1963, buried: Murray Harbour, P.E.I. 54. Albert Windsor Clements (16.Elizabeth3 , 3.Henry2 , 1.Francoise1 ) b. 03-FEB-1861, Murray Harbour, P.E.I., m. 11-NOV-1885, in Vernon River, PEI, Margaret Jane MacLeod , b. 15-OCT-1862, (daughter of John MacLeod and Elizabeth Ross) d. 05-SEP-1911, Murray Harbour, P.E.I., buried: Murray Harbour SO. Albert died 17-DEC-1928, Murray Harbour, P.E.I., buried: Murray Harbour SO. i	Roy Leigh Clements b. 28-SEP-1886, m. Ruby __________ . ii	Elizabeth Windsor (Bette) Clements b. 18-MAY-1889, d. 22-JUL-1915. iii	Helen Clements b. 02-NOV-1890, m. (1) 03-JUN-1916, Manny __________ , m. (2) Ernest Cameron , b. 1880, d. 1973. Helen died ??-JUN-1980. iv	Vernon Clements b. 18-SEP-1892, m. Annie Tooke . v	Celia Emma Clements b. 02-JAN-1897, m. Max Stevenson . vi	Gladys Frances Clements b. 16-APR-1900, m. 24-DEC-1921, Frank Keil . 55. Charlotte Frances Clements (16.Elizabeth3 , 3.Henry2 , 1.Francoise1 ) b. 10-FEB-1866, bapt: 13-SEP-1866, m. Donald MacMillan . i	Vernon Hanson MacMillan b. ca. 1887, d. 07-MAR-1887. 56. Cecilia Irene Clements (16.Elizabeth3 , 3.Henry2 , 1.Francoise1 ) b. 09-MAY-1867, bapt: 30-AUG-1867, m. Erskine Keir, Dr. .
i	Margaret B. Keir b. 20-DEC-1898. 57. Reuben Wycliffe Machon (17.Daniel3 , 3.Henry2 , 1.Francoise1 ) b. 01-JAN-1870, bapt: 22-APR-1870, Murray Harbour, P.E.I., m. Isabella Hyde , b. 1874, (daughter of John B. Hyde and Mary McKeeman) d. 1965, buried: Murray Harbour SO. Reuben died 1937, buried: Murray Harbour SO. i	Alicia Machon b. 09-DEC-1899, m. Thomas Frederick Davey , b. 18-MAY-1878, bapt: 09-JUL-1878, (son of Thomas H. Davey and Louisa Richards) d. 1962, buried: Murray Harbour SO. Alicia died 01-MAR-1968. 58. Daniel Walter Machon (17.Daniel3 , 3.Henry2 , 1.Francoise1 ) b. 16-JUN-1871, bapt: 30-APR-1873, Murray Harbour, P.E.I., m. Amy Jane/Jennie Harris , b. ca. 1880, (daughter of William Harris and Elizabeth Ann (Annie) Jordan) d. 1967. Daniel died 1936, buried: Glastonbury, CT.
i	Daniel Walter Machon, Jr. m. __________ . 59. Cecelia Marie Machon (17.Daniel3 , 3.Henry2 , 1.Francoise1 ) b. 24-AUG-1883, m. ? ?-APR-1908, James Herring LeLacheur , b. 24-SEP-1881, (son of Bartholomew LeLacheur and Mary Herring) d. 1947, buried: Murray Harbour SO. Cecelia died 1932, buried: Murray Harbour SO. i	Nettie Florence LeLacheur b. 05-SEP-1909, d. 01-JAN-1961. ii	Bessie Jennings LeLacheur b. 16-JAN-1912, m. 07-DEC-1934, Wallace Vincent Penny , b. 14-MAR-1913, (son of Reuben Willard Penny, Capt. and Elizabeth White). Bessie buried: Murray Harbour SO. iii	Lois Martha LeLacheur b. 23-JUL-1914, m. 26-DEC-1934, Percy James Bell , b. 27-NOV-1910, (son of Ernest George Bell and Margaret Ella Hill) d. 05-FEB-1977, buried: Murray Harbour SO. Lois died 09-MAY-1978, buried: Murray Harbour SO. iv	Bartholomew Machon LeLacheur b. 12-JUN-1916. v	Aubrey Foch LeLacheur b. 24-NOV-1918, m. Doris Peardon , b. 1931. Aubrey died 12-SEP-1984, buried: Murray Harbour SO. vii	Cecelia Genevieve LeLacheur b. 24-SEP-1924, m. Blaine D. Atwell . viii	James Daniel LeLacheur b. 28-MAR-1927, m. Victoria Ann Downs , d. bef. 1994. James died 17-JUL-1994, Montague, P.E.I., buried: Ontario. 60. Nettie Poole Harris (18.Frances3 , 3.Henry2 , 1.Francoise1 ) b. ca. 1871, m. 04-APR-1890(L), Frank Henry Lemon , b. 1867, Montague, P.E.I., (son of John Lemon and Elizabeth Ann Annear) d. 21-NOV-1939, Lower Montague, P.E.I. Nettie died 23-APR-1938. i	Henry Lemon b. ca. 1890.
ii	Mary Lemon b. 1890. 61. Henry Alexander Machon (19.Charles3 , 3.Henry2 , 1.Francoise1 ) b. 10-NOV-1869, bapt: 14-FEB-1870, m. Ann Donovan . Henry died 1943, Dorothy, ALTA. i	Charles Henry Mashon b. 1898, Boston, MA, d. 1976, ALTA. ii	James Alexander Machon b. 1900, Boston, MA, bapt: 1901.
iii	Albert Francis Machon b. 1902, Boston, MA, d. 1976, Calgary. iv	William Edward Machon b. 1904, Boston, MA, m. Dorothy Brown . v	Annie Elizabeth Mashon b. 1906, m. John Edwin Beck . Annie died 1980, Drumheller, ALTA. vi	Cecelia Helen Mashon b. 1908, Mossleigh, ALTA, d. 1911.
vii	Francis Joseph Mashon b. 1910, d. 1979, Calgary. viii	Hulbert Daniel Mashon b. 1912, Dorothy, ALTA, m. Doris Berwick . ix	Mary Rose Mashon b. 1914, ALTA, m. James R. Job . x	Alice Ellen Mashon b. 1916, m. Christian Roes . xi	Walter Copps Mashon b. 1918, m. Mary Van Kerkvoode . xii	Lillian Theresa Mashon b. 1920, d. young. 62. Etta Blanche Howe (20.Maria3 , 3.Henry2 , 1.Francoise1 ) b. 1881, Murray Harbour, P.E.I., m. 09-MAY-1903, Frederick Charles LeLacheur , b. 13-DEC-1875, bapt: 05-APR-1876, Murray Harbour, P.E.I., (son of Charles LeLacheur and Charlotte Jane Sencabaugh) d. 09-APR-1926, buried: Murray Harbour SO. Etta died 1974, buried: Murray Harbour SO. i	Chester Charles LeLacheur b. 04-JUN-1904, m. Margaret (Marjorie) Jennings Machon , b. 20-JUL-1910, (daughter of William Lebert Machon and Elsie Louise Penny) d. 04-DEC-1990. Chester died 31-OCT-1985. ii	Ruth Howe LeLacheur b. 04-MAY-1906, m. Ray Brooks . iii	William Cecil LeLacheur b. 04-DEC-1910, m. Catherine Margaret (Kay) McPherson , b. 1914, d. 07-JUL-1994, Montague, P.E.I., buried: 10-JUL-1994, Murray Harbour, P.E.I. iv	Kimball Frederick LeLacheur b. 30-MAR-1919, m. 01-NOV-1945, Florence Harriet Gosbee , b. 23-OCT-1923, (daughter of Thomas Osborne Gosbee and Harriet Caroline Penny). 63. William Milton Howe (20.Maria3 , 3.Henry2 , 1.Francoise1 ) b. 12-MAR-1890, m. 1917, Ethel Frances Brehaut , b. 01-JUN-1897, (daughter of Henry Thomas Brehaut and Viney Bell) buried: Murray Harbour SO. William died 1964, buried: Murray Harbour SO. i	Beryl Frances Howe b. 1920, m. 1943, R. Sterling Wood . ii	William Brodie Howe b. 1922.
iii	Henry Maurice Howe b. 1925.
iv	Lila Louise Howe b. 1930.
v	Rene Ruth Howe b. 1944. 64. Frances Ann Brehaut (21.Maria3 , 4.William2 , 1.Francoise1 ) b. 1857, m. 19-MAR-1877, John Hill , b. 1852, d. 1939, buried: Murray Harbour SO. Frances died 1929, buried: Murray Harbour SO. i	Wallace Hill b. ca. 1880.
ii	Margaret Ella Hill b. 09-SEP-1882, m. Ernest George Bell , b. 27-JAN-1876, (son of James W. Bell and Elizabeth Ann LeLacheur) d. 12-APR-1961, buried: Murray Harbour SO. Margaret died 26-MAY-1963, buried: Murray Harbour SO. iii	Henry Hill b. 11-JUL-1884. iv	Melville Hill b. 25-JUL-1890. v	Elsie Hill b. 21-AUG-1893. vi	Wilbert Hill b. 12-APR-1896. vii	Lorne Hill b. 08-MAY-1899. 65. Charlotte Brehaut (21.Maria3 , 4.William2 , 1.Francoise1 ) b. 22-AUG-1860, m. 30-DEC-1885, Andrew K. Millar , b. 12-APR-1861, (son of William Millar and Mary Kennedy) d. 12-DEC-1950, buried: Murray Harbour No., PEI. Charlotte died 09-APR-1937, buried: Murray Harbour No., PEI. i	Bessie Millar b. 20-NOV-1886, m. __________ Spaulding . Bessie died 1991.
ii	Edith Millar b. 14-AUG-1889, m. __________ Moore . iii	Edward William Millar b. 12-DEC-1893, m. 14-SEP-1929, Leah Z. Collings , b. 05-JUL-1901. Edward died 1991, buried: Murray Harbour No., PEI. iv	Harry Downing Millar b. 16-MAY-1903, m. Mabel Barbara Llewellyn , b. 15-OCT-1904, (daughter of James Llewellyn and Alice H. Mutlow) d. 15-JUL-1934, buried: Murray Harbour No., PEI. Harry died 25-NOV-1987, buried: Murray Harbour No., PEI. 66. Peter James Brehaut (21.Maria3 , 4.William2 , 1.Francoise1 ) b. 11-MAR-1870, m. 06-MAR-1899(L), Elizabeth Charlotte Ferguson , b. 28-JAN-1875, (daughter of Mungo Ferguson and Jane Beck) d. 08-MAR-1943, buried: Murray Harbour SO. Peter died 1954, buried: Murray Harbour SO. i	Roy Clarence Brehaut b. 28-APR-1900, m. Ella Hanson . Roy died 05-AUG-1964. ii	Cecil Henry Brehaut b. 10-DEC-1901, m. Joan Pack . Cecil died 14-JAN-1956. iii	Ethelbert Brehaut b. 18-FEB-1904, m. Jean E. MacWhirter . iv	Leonard James Brehaut b. ? ?-AUG-1906, m. 18-DEC-1930, in Murray Harbour SO, Lillian Louise Herring , b. 20-JUL-1905, (daughter of James Francis Herring and Mary Jane Gordon) buried: Murray Harbour SO. Leonard died 14-OCT-1989, buried: Murray Harbour SO. 67. Penelope Ann Machon (23.William3 , 4.William2 , 1.Francoise1 ) b. 08-MAY-1870, bapt: 12-APR-1871, m. 02-JAN-1890(L), Freeman Reynolds , b. 19-JUN-1864, bapt: 23-FEB-1865, (son of David Reynolds and Jessie Graham) d. 1942, buried: Murray Harbour SO. Penelope died 1966, buried: Murray Harbour SO. i	Frank Reynolds b. 1911, d. 1931. 68. Gertrude Payson Machon (23.William3 , 4.William2 , 1.Francoise1 ) b. 04-MAR-1873, bapt: 15-JUN-1873, m. 24-AUG-1893, in White Sands, P.E.I., John Rounsevell Herring , b. 01-OCT-1867, bapt: 21-JAN-1868, Murray Harbour, P.E.I., (son of William Herring and Ruhama Sencabaugh) d. 25-APR-1929, buried: Murray Harbour SO. Gertrude died ? 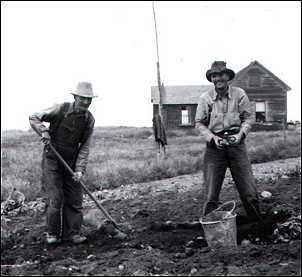 ?-DEC-1953, buried: Murray Harbour SO. i	Stanley Spargo Herring b. 07-JUN-1894, m. 10-JUN-1916, in Charlottetown, P.E.I., Caroline Margaret Jardine , b. 1898, (daughter of Artemas Jardine and Mary Leila Farquharson) d. 1985. Stanley died 1976.
ii	Harold Raymond Herring b. 17-JUN-1906, d. 1935, buried: Murray Harbour SO. iii	Margaret Elizabeth Herring b. 30-NOV-1913, d. 17-MAR-1921, buried: Murray Harbour SO. 69. William Lebert Machon (23.William3 , 4.William2 , 1.Francoise1 ) b. 27-SEP-1877, bapt: 05-MAY-1878, m. 26-JAN-1901(L), Elsie Louise Penny , b. 17-FEB-1882, (daughter of Vere Beck Penny and Mary Ellen Cahoon) d. 20-MAY-1950, buried: Lower Montague, PEI, United Methodist Cm. William died 21-OCT-1942, buried: Lower Montague, PEI, United Methodist Cm. i	Freeman David Machon b. 20-JUN-1902, m. Agnes Alleyne Rowland , b. 1902. Freeman died ??-JUL-1978. ii	Robert Perkins Machon b. 30-APR-1904, m. Christena M. Blue , b. 1903, buried: Lower Montague, PEI, United Methodist Cm. Robert died 18-SEP-1967, buried: Lower Montague, PEI, United Methodist Cm. iii	Margaret (Marjorie) Jennings Machon b. 20-JUL-1910, m. Chester Charles LeLacheur , b. 04-JUN-1904, (son of Frederick Charles LeLacheur and Etta Blanche Howe) d. 31-OCT-1985. Margaret died 04-DEC-1990. 70. Frederick Henry White (24.Catherine3 , 4.William2 , 1.Francoise1 ) b. 13-DEC-1865, P.E.I., m. 26-MAR-1897(L), Ida May Brehaut , b. 18-MAY-1874, bapt: 12-MAR-1875, Murray Harbour, P.E.I., (daughter of James Brehaut and Sarah Howe) d. 29-SEP-1956, buried: Murray Harbour SO. Frederick died 19-FEB-1957, buried: Murray Harbour SO. i	Alma White b. 08-SEP-1897, d. 11-MAY-1900, buried: Murray Harbour SO. ii	Mildred White b. 08-MAR-1899. iii	Harry Frederick White b. 21-APR-1909, m. 29-NOV-1934, Helen Dorothy MacLeod , b. 19-NOV-1915, (daughter of Allan Alexander MacLeod and Salome Rosella Williams). Harry died 23-FEB-1984, buried: Murray Harbour SO. 71. Harriet Isabel White (24.Catherine3 , 4.William2 , 1.Francoise1 ) b. 13-MAR-1869, P.E.I., m. 11-JUL-1890(L), Charles Young Brooks , b. 10-OCT-1865, bapt: 03-JUN-1866, (son of Joseph Brooks and Caroline Derby) d. 1951, buried: Murray Harbour SO. Harriet died 1944, buried: Murray Harbour SO. i	Carleton Herbert Brooks b. 04-OCT-1891, d. 04-JUL-1894, buried: Murray Harbour SO. ii	Sydney Albert Brooks b. 23-SEP-1894, m. Clara E. Penny , b. 21-FEB-1900, (daughter of Robert Penny and Violet Horn Sanders) buried: Murray Harbour SO. Sydney died 07-APR-1978, buried: Murray Harbour SO. iii	Henry Maxwell Brooks b. 14-APR-1896, d. 1944, France, buried: Murray Harbour SO. iv	Victor Frederick Brooks b. 04-MAR-1898, d. 1919, France, buried: Murray Harbour SO. v	John Brooks b. 22-OCT-1899. vi	Roy Preston Brooks b. 07-MAY-1903, Murray Harbour, P.E.I., m. 02-DEC-1925, Elsie Eunice Herring , b. 07-JUL-1907, (daughter of James Francis Herring and Mary Jane Gordon). Roy died 17-OCT-1984, Charlottetown, P.E.I., buried: Charlottetown, P.E.I. vii	Arthur Charles Brooks b. 24-MAY-1907. viii	Blanche Katherine Brooks b. 15-FEB-1911, m. Roy Prowse , b. ca. 1910. Blanche died 25-FEB-1974, buried: Murray Harbour SO. 72. Thomas Henry (25.Margaret3 , 5.Elizabeth2 , 1.Francoise1 ) b. 23-NOV-1847, bapt: 07-MAY-1845, m. Kate Marie Hadley , b. ca. 1858, d. 09-OCT-1887, buried: Georgetown, P.E.I. (United Church Cem.). Thomas died 23-APR-1935, Georgetown, P.E.I., buried: Georgetown, P.E.I. (United Church Cem.). i	Albert Henry d. young. ii	Calveny Henry d. young. 73. Elkanah James Henry (25.Margaret3 , 5.Elizabeth2 , 1.Francoise1 ) b. 07-AUG-1851, P.E.I., bapt: 02-MAY-1852, m. Mary Porter , d. 1921. Elkanah died 1935.
i	Margaret (Maud?) Henry b. 1875.
ii	Clara Medlar Henry b. ? ?-DEC-1875, m. Andrew J. F. Lavers , b. ? ?-JUN-1870, (son of John Lavers and Margaret __________) d. ? ?-MAR-1953, buried: Georgetown, P.E.I. (Anglican Cemetery). Clara died ? ?-DEC-1944, buried: Georgetown, P.E.I. (Anglican Cemetery). iii	Bessie Henry b. ca. 1877.
iv	Ethel Henry b. ca. 1879.
v	Beatrice Henry b. ca. 1882.
vi	Sullivan Henry b. ca. 1884, P.E.I., m. Lillian Publicover . vii	Ida Henry b. ca. 1887, P.E.I., d. 1910.
viii	Percy James Henry b. ca. 1889, P.E.I., d. 1962, buried: Georgetown, P.E.I. (R.C. Cemetery). ix	Maude Ann Henry b. 1891, m. William Charles Hobbs , b. 1869, (son of Arthur P. Hobbs and Eliza Broadwell) d. 1954, buried: Georgetown, P.E.I. (United Church Cem.). Maude died 1975, buried: Georgetown, P.E.I. (United Church Cem.). 74. Ezra Matthew Henry (25.Margaret3 , 5.Elizabeth2 , 1.Francoise1 ) b. 24-JUL-1862, bapt: 17-AUG-1862, m. 1888, Elizabeth Ann Bears , b. 1869, (daughter of Henry Alline Bears and Priscilla Jane Hawkins). Ezra died 1950, Boston, MA. i	Chester Henry b. 1889, m. Sarah Cole Beadle , b. 1892, Saint John's, NB. Chester died 1962, Swampscott, MA. ii	Elsie Louise Henry b. 1892, P.E.I., m. 1912, Arthur Joseph Hardy , buried: Forest Hills, Jamaica Plain, Ma. Elsie buried: Forest Hills, Jamaica Plain, Ma. iii	Mary Inez Henry b. 1893, P.E.I. iv	Frank Irving Henry b. 1895, P.E.I., m. (1) 1913, in Boston, MA, Bertha Wandelear , m. (2) Lulu Mae (Dewar) MacDonald . v	Harold Alline Henry b. 1898, East Boston, MA, m. 1925, Clara Eunice Farrar , b. 1906, d. 1979.
vi	Vinton Carl Henry b. 1900, South Boston, MA, m. 1930, Annie C. Suirane , b. 1910, Pictou, NS. 75. Mary Ella Jane Henry (25.Margaret3 , 5.Elizabeth2 , 1.Francoise1 ) b. 24-NOV-1865, bapt: 01-JUL-1866, m. John MacDonald, Capt. .
i	Edna MacDonald b. 1897, Georgetown, P.E.I. ii	Vivian Margaret MacDonald b. 1907, m. Elmer McDonald . 76. Mary Ann (Mae) Clements Nicolle (26.John3 , 5.Elizabeth2 , 1.Francoise1 ) b. 24-DEC-1857, White Sands, P.E.I., bapt: 25-JUL-1858, m. (1) 04-OCT-1881, John R. Bailey, Capt. , b. 31-JUL-1857, Newfoundland, m. (2) John Daniel VanIderstine , b. 28-JUL-1858, bapt: 29-NOV-1858, (son of Alexander VanIderstine and Elizabeth Machon) buried: Murray Harbour, P.E.I. Mary died aft. 1930.
i	Hattie Laura Bailey b. 03-DEC-1885, P.E.I., m. Henry Melville Coffyne , b. 08-SEP-1877, Savage Harbour, P.E.I., (son of William S. Coffin and Susannah __________) d. 01-SEP-1946, Regina, Sask. Hattie died ? ?-OCT-1920, Saskatchewan. ii	Minnie Machon Bailey b. 10-AUG-1886, Murray Harbour, P.E.I., m. Oliver Edwards . Minnie died ??-OCT-1919. iii	Lois Bailey b. 03-JAN-1890. iv	Ida M. Bailey b. 10-OCT-1892, d. 27-SEP-1893, buried: Murray Harbour SO. v	(boy) Bailey d. age 3.
vi	Nina Maud Bailey b. 30-AUG-1895, m. (1) in Saskatchewan, William Colbow , m. (2) __________ Ployart . Nina died 16-DEC-1980, B.C. 77. Jane Elizabeth Nicolle (26.John3 , 5.Elizabeth2 , 1.Francoise1 ) b. 21-DEC-1859, White Sands, P.E.I., bapt: 24-JUN-1860, m. 07-NOV-1885(L), Alexander D. (Sandy) MacDonald , b. 19-MAR-1862, (son of Hugh MacDonald and Mary Clow) d. 1942, buried: Murray Harbour SO. Jane died 01-JUN-1905, buried: Murray Harbour SO. i	Loren MacDonald b. ,3-JUN-1887, d. young, drowned. iii	John Milton MacDonald b. 27-MAY-1889, d. 09-FEB-1973, buried: Murray Harbour, P.E.I. iv	Edna M. MacDonald b. ca. 1892, d. 13-JAN-1899, buried: Murray Harbour SO. v	Percy L. MacDonald b. 29-JAN-1897, d. 23-APR-1969, buried: Murray Harbour, P.E.I. 78. William John (Red Will) Nicolle (26.John3 , 5.Elizabeth2 , 1.Francoise1 ) b. 28-MAY-1864, White Sands, P.E.I., bapt: 19-DEC-1866, Murray Harbour, P.E.I., m. (1) 01-OCT-1891(L), Elizabeth Jane Bull , b. 1869, (daughter of David Bull and Elizabeth White) d. 1899, buried: Murray Harbour SO, m. (2) 26-NOV-1900, Margaret Jane Philips , b. 29-MAY-1880, (daughter of John Lemuel Phillips and Margaret Ann (Annie) Ferguson) d. 1927. William died 17-JUL-1942, White Sands, P.E.I., buried: Murray Harbour, P.E.I. i	Florence (Florrie) Edith Nicolle b. 06-JUL-1892, White Sands, P.E.I., bapt: 09-APR-1894, m. Elmon Bradford Grover , b. 1889, Massachusetts, d. ? ?-NOV-1928, Massachusetts, buried: Wyoming Cem., Melrose, MA. Florence died 30-AUG-1964, Massachusetts, buried: Wyoming Cem., Melrose, MA. ii	Ella May Spargo Nicolle b. 08-DEC-1893, White Sands, P.E.I., bapt: 09-APR-1894, m. 29-APR-1914, in Medford, MA, James Arnold Denton , b. 15-MAR-1885, Westport, NS, (son of Charles Whitfield Denton and Emily Laura Julia Frost) d. 22-DEC-1971, Fridley, MN, buried: St. Anthony Village, MN. Ella died 25-MAR-1971, New Brighton, MN, buried: St. Anthony Village, MN. iii	Ethel Elizabeth Nicolle b. 03-NOV-1895, White Sands, P.E.I., bapt: 16-MAR-1899, m. 09-MAR-1921, William Spencer Sharam , b. 25-JAN-1891, (son of James Major Sharam and Charlotte Elizabeth Bell) d. 19-JUL-1977, Charlottetown, P.E.I., buried: Murray Harbour, P.E.I. Ethel died 31-MAR-1979, Charlottetown, P.E.I., buried: Murray Harbour, P.E.I. iv	Jeremiah (Jerry) Nicolle b. 19-MAR-1897, White Sands, P.E.I., bapt: 16-MAR-1899, m. Ethel B. MacNeill , b. 1903, (daughter of Lauchlin MacNeill and Eliza Penny) d. 01-APR-1966, buried: Murray Harbour, P.E.I. Jeremiah died 13-FEB-1973, Charlottetown, P.E.I., buried: Murray Harbour, P.E.I. v	William Earle Nicolle b. 11-FEB-1899, White Sands, P.E.I., bapt: 16-MAR-1899, d. 1900, buried: Murray Harbour, P.E.I. vi	William Earle Nicolle b. 15-JUN-1901, White Sands, P.E.I., m. 1929, Lucille (Lucy) May White , b. 1913, Abney, P.E.I., (daughter of William Parker White and Harriet Roberts). William died 07-FEB-1969, buried: Murray Harbour, P.E.I. vii	Lulu Sarah Nicolle b. White Sands, P.E.I., d. 1906 (ae. 3). viii	Irene Chapman Nicolle b. 1906, White Sands, P.E.I., d. 1925.
ix	Laura Cecilia Nicolle b. 08-JUL-1908, White Sands, P.E.I., m. Samuel (Sam) John Beck , b. 23-APR-1898, (son of Henry Phillips Vere Beck and Mary Ann P. Buell) d. 27-JUL-1978, Montague, P.E.I., buried: Murray River Cemetery. Laura buried: Murray River Cemetery. x	Roy Nicolle b. 1910, d. in infancy. xi	Roy Nicolle b. 17-SEP-1913, White Sands, P.E.I., m. 08-AUG-1936, in Murray Harbour, P.E.I., Helen Margaret LeLacheur , b. 13-DEC-19? ?, (daughter of Percy McLeod LeLacheur and Minnie Elsie Bell). Roy died 08-MAR-1993. xii	Arnold Denton Nicolle b. 16-SEP-1915, White Sands, P.E.I., m. Jemima MacFarlane , (daughter of David MacFarlane and Agnes MacLennan). Arnold died 17-NOV-1993, Charlottetown, P.E.I., buried: 19-NOV-1993, Murray Harbour SO. xiii	Violet Annie Nicolle b. White Sands, P.E.I., d. in infancy. 79. Oliver Cromwell Nicoll (26.John3 , 5.Elizabeth2 , 1.Francoise1 ) b. 15-MAY-1867, White Sands, P.E.I., bapt: 19-APR-1868, Murray Harbour, P.E.I., m. Dora Augusta Joudrey , b. 1874, Nova Scotia, d. 1955. Oliver died 14-JUN-1949, Boston, MA, buried: 18-JUN-1949, Puritan Lawn, Peabody, MA. i	Albert Earl Nicoll b. 05-MAR-1899, m. (1) Louise __________ , m. (2) Doris __________ , d. ??-JUN-1973. Albert died 26-JUL-1962, Medford, MA. ii	Elsie Laura Nicoll b. 10-NOV-1900, Kings Co., PEI, m. (1) Warren Raymond French , m. (2) John Stanley , d. ??-JUN-1973. iii	Elva Louise Nicoll b. 03-MAR-1904, Medford, MA, m. Malcolm Gilson . iv	Arnold Oliver Nicoll b. 21-JUL-1906, Medford, MA, m. ca. 1945, Thelma Wheeler . Arnold died 1980, Medford, MA. v	Gladys Dora Nicoll b. 11-JAN-1914, Medford, MA, m. Michael DiPesa . Gladys died 17-MAR-1971. 80. Herbert Howard Nicolle (26.John3 , 5.Elizabeth2 , 1.Francoise1 ) b. 03-OCT-1871, White Sands, P.E.I., m. Margaret M. (Maggie) Campbell , b. Bonshaw, P.E.I. Herbert died 02-NOV-1952, Providence, RI, buried: Warwick, RI (Highland Cemetery). i	Etta M. Nicoll b. PEI?, d. 1979.
ii	Eathon John Nicoll b. PEI?, m. Muriel __________ , b. P.E.I. iii	Ivan Melbourne Nicoll b. ca. 1909, m. Lillian Hames , b. ca. 1908, d. 22-SEP-1967. Ivan died 04-JUL-1957, Rhode Island. iv	Kathryn Nicoll b. Providence, RI. v	Marion J. Nicoll b. Providence, RI, m. Axel J. Carlson . vi	Elizabeth C. (Lizzie) Nicoll b. Providence, RI?. vii	Glenn Herbert Nicoll b. Providence, RI?, m. Virginia Miller , b. ca. 1923, d. 1944. Glenn died 15-FEB-1980. 81. Laura Cecilia Nicolle (26.John3 , 5.Elizabeth2 , 1.Francoise1 ) b. ? ?-MAR-1874, White Sands, P.E.I., m. 27-MAR-1895, in White Sands, P.E.I., Reuben Willard Penny, Capt. , b. 14-DEC-1872, (son of Vere Beck Penny and Mary Ellen Cahoon) d. 02-SEP-1939, buried: Murray Harbour SO. Laura died 20-SEP-1896, buried: Murray Harbour, P.E.I. i	Alonzo Willard Penny b. 05-SEP-1895, d. 29-NOV-1921, buried: Murray Harbour SO. ii	Baby Boy Penny b. 04-SEP-1896, d. 10-DEC-1896, buried: Murray Harbour, P.E.I. 82. Lucius James Nicoll (26.John3 , 5.Elizabeth2 , 1.Francoise1 ) b. 24-FEB-1877, White Sands, P.E.I., m. Elizabeth J. (Ida) Philpot , d. 18-JUN-1947, Melrose, MA, buried: Wyoming Cem., Melrose, MA. Lucius died 22-JUL-1961, Maryland. i	Lester J. Nicoll d. 07-JAN-1972, Melrose, MA, buried: Wyoming Cem., Melrose, MA. ii	Audrey Nicoll b. Melrose, MA, m. J. Paul Bateman , d. 1962. 83. John Thomas Nicolle (27.William3 , 5.Elizabeth2 , 1.Francoise1 ) b. 1859, m. (1) 11-JAN-1886(L), Catherine E. (Inez?) Kennedy , b. ca. 1866, (daughter of Robert Kennedy and Mary __________) d. 03-DEC-1888, buried: Murray Harbour No., PEI, m. (2) Catherine (Katie) A. MacKay , b. 1870, (daughter of Hugh MacKay and Mary __________) d. 1933, buried: Murray Harbour SO. John died 1939, buried: Murray Harbour SO. ii	Mamie (Mary A.) W. Nicolle b. 23-AUG-1891, m. Ezra Beck , b. 02-DEC-1884, (son of Richard T.F. Ford Beck and Catherine Penny) d. 15-JUL-1946, buried: Murray Harbour SO. Mamie died 21-JUL-1913, buried: Murray Harbour SO. iii	Lulu Nicolle b. 1893, m. (1) Joseph Livingstone , d. 1919, m. (2) Bert Lumsden . Lulu died 1976.
iv	Margaret Elizabeth Nicolle b. 28-MAR-1894, m. George Seymour Cooper , b. 06-MAY-1895, buried: Murray Harbour SO. Margaret died 06-JUN-1968, buried: Murray Harbour SO. v	Harry Gladstone Nicolle b. 1897, m. Ann Davey . Harry died 1978.
vi	Lillian Beatrice Nicolle b. 06-JUL-1899, m. George Ivan MacKenzie , b. 07-JUL-1901, buried: Murray River Cemetery. Lillian died 05-JUL-1973, buried: Murray River Cemetery. vii	Eda L. Nicolle b. 1903, d. 1916, buried: Murray Harbour SO. 84. Hammond Johnston Nicolle (27.William3 , 5.Elizabeth2 , 1.Francoise1 ) b. 03-FEB-1868, m. 11-FEB-1892(L), Mary Ann MacLeod , b. 09-FEB-1872, d. 1954, buried: Murray Harbour SO. Hammond died 1958.
i	Leland (Lea) Sanford Nicolle b. 06-MAY-1892, m. 19-OCT-1921, Pearl Evelyn MacKinnon , b. 1903. Leland died 09-JUL-1988, buried: Murray River Cemetery. ii	Clarence Oliver Nicolle b. 10-FEB-1894, m. Ella J. Bears , b. 27-JUL-1896, (daughter of Lemuel Bears and Frances __________) d. 1975, buried: Murray River Cemetery. Clarence died 1988, buried: Murray River Cemetery. iii	James William Nicolle b. 03-JUN-1897, d. 1910, buried: Murray Harbour SO. iv	Arnett Lowell Nicolle b. 09-FEB-1899, m. Sara Isabelle Stewart , b. 1911, White Sands, P.E.I. v	Audrey Alexandra Nicolle b. 1902, d. 1923, buried: Murray Harbour SO. vi	Emma Isabelle Nicolle b. 21-OCT-1904, m. Ray Stewart , (son of John E. Stewart and Alfreda Schurman Jordan). Emma died 11-MAR-1982. vii	Hammond Floyd Nicolle b. 1911, m. Kaye Stewart . 85. Emma Nicolle (27.William3 , 5.Elizabeth2 , 1.Francoise1 ) m. James Shaw . i	James Shaw b. bef. 1885.
ii	Arnett Shaw b. ca. 1886, d. 1976.
iii	Edward Shaw d. 1975.
vi	Janet Shaw m. Jack MacLure . Janet died 1976.
vii	Nellie Shaw d. 1976. 86. Alice Maria Roberts (29.Catherine3 , 6.Thomas2 , 1.Francoise1 ) b. 04-AUG-1863, bapt: 01-SEP-1863, m. John MacKenzie , b. ca. 1850, P.E.I., (son of Donald MacKenzie and Elizabeth Stapleton) d. 25-JAN-1896. Alice died 22-JAN-1895, buried: Murray Harbour SO. i	Ernest MacKenzie b. 13-OCT-1889, m. Susannah Ramsbottom , b. 17-JAN-1892, d. 28-JUN-1980. Ernest died 17-AUG-1963. ii	John Howard MacKenzie b. 08-AUG-1891, m. Lavinia Cecilia Giddings , b. 08-AUG-1891, (daughter of Neil Giddings and Mary Elizabeth White) d. 27-NOV-1969, buried: Murray Harbour, P.E.I. John died 10-OCT-1978, buried: Murray Harbour, P.E.I. iii	William Oswald (Bill) MacKenzie b. 07-MAR-1893, m. 24-AUG-19? ?, Iva Mary Davey , b. 01-OCT-1904, (daughter of Thomas Reuben Davey and Elizabeth Charlotte Richards) d. 16-JUN-1983. William died 18-JUL-1994. 87. Priscilla Anne (Annie) Roberts (29.Catherine3 , 6.Thomas2 , 1.Francoise1 ) b. 08-FEB-1866, bapt: 07-NOV-1866, m. 29-SEP-1887(L), John Penny , b. ca. 1855, (son of James Penny and Isabella MacKay) d. 28-MAR-1911, buried: Murray Harbour SO. Priscilla died 25-JUL-1944, buried: Murray Harbour SO. i	Edith M. Penny b. 1888, m. Horatio Brehaut Machon , b. 31-JAN-1882, (son of Henry Joseph Machon and Margaret H. MacDonald) d. 16-AUG-1952, buried: Murray Harbour SO. Edith buried: Murray Harbour SO. ii	Earl M. Penny b. 1892, m. Bertha Kennedy . Earl died 1935, buried: Murray Harbour SO. iii	Lexie L. Penny b. 1894, d. 1971, buried: Murray Harbour SO. 88. Charles Thomas Machon (30.John3 , 6.Thomas2 , 1.Francoise1 ) b. 30-NOV-1863, bapt: 24-APR-1864, m. 26-SEP-1889(L), Mary MacLeod . 89. Matilda Machon (30.John3 , 6.Thomas2 , 1.Francoise1 ) b. 24-APR-1868, P.E.I., m. William Byrne , b. 12-AUG-1863, Newfoundland, (son of William Burns and Catherine __________). i	Laura Byrne b. 25-NOV-1889. ii	Alice Byrne b. 09-DEC-1891. iii	John Byrne b. 13-APR-1894. iv	George Byrne b. 07-FEB-1897. v	William Byrne b. 07-FEB-1897. vi	Dottie Byrne b. 10-SEP-1899. 90. Peter J. Machon (30.John3 , 6.Thomas2 , 1.Francoise1 ) b. ca. 1871, P.E.I., m. Sarah Glover . Peter died 1968.
i	John H.B. Machon . 91. Thomas Reuben Davey (33.Ann3 , 6.Thomas2 , 1.Francoise1 ) b. 17-AUG-1872, m. 24-AUG-1897(L), Elizabeth Charlotte Richards , b. 11-MAY-1879, (daughter of James Richards and Margaret Henderson) d. 1934, buried: Murray Harbour SO. Thomas died 1939, buried: Murray Harbour SO. i	Margaret Elizabeth Davey b. 23-FEB-1899, m. John Rankin Bell , b. 07-JUL-1899, Murray Harbour, P.E.I., (son of Alexander Bell and Mary Ellen Hyde) d. 29-SEP-1933, buried: Murray Harbour SO. Margaret died 1928, buried: Murray Harbour SO. ii	James (Verner?) Davey b. 23-JUL-1900, d. 1974, buried: Murray Harbour SO. vii	Iva Mary Davey b. 01-OCT-1904, m. 24-AUG-19? ?, William Oswald (Bill) MacKenzie , b. 07-MAR-1893, (son of John MacKenzie and Alice Maria Roberts) d. 18-JUL-1994. Iva died 16-JUN-1983. 92. Maria Jane Davey (33.Ann3 , 6.Thomas2 , 1.Francoise1 ) b. ca. 1877, m. 17-JUN-1897(L), William Wallace Singleton , b. 24-MAY-1872, of Belle River, (son of William H. Singleton and Catherine MacDonald) d. 15-AUG-1947, buried: Belle River, P.E.I. (Ch. of Scotland Cm). Maria died 12-DEC-1944, buried: Belle River, P.E.I. (Ch. of Scotland Cm). i	Catherine Singleton b. 1898, m. Roland White , b. 18-OCT-1900, (son of Joseph R. White and Alberta Forbes) d. 1960, buried: Murray Harbour SO. Catherine died 1940, buried: Murray Harbour, P.E.I. 93. Horatio Brehaut Machon (34.Henry3 , 6.Thomas2 , 1.Francoise1 ) b. 31-JAN-1882, m. Edith M. Penny , b. 1888, (daughter of John Penny and Priscilla Anne (Annie) Roberts) buried: Murray Harbour SO. Horatio died 16-AUG-1952, buried: Murray Harbour SO. i	John Machon b. 02-JAN-1911, m. Frances Elizabeth MacKay , b. 1914, (daughter of Neil MacKay and Caroline Derby). ii	Ernest Machon b. 12-NOV-1914. iii	Albert Machon b. 10-NOV-1918. 94. David Matthias Hawkins (36.William3 , 7.Nancy2 , 1.Francoise1 ) b. 14-FEB-1866, P.E.I., bapt: 24-AUG-1867, m. 11-DEC-1888(L), Jane Isabel MacLeod , b. 12-AUG-1869, (daughter of David MacLeod and Elizabeth McLure) d. 1922, buried: Gladstone Pioneer Cemetery, Murray River. David died 1948, buried: Gladstone Pioneer Cemetery, Murray River. i	Sidney Hawkins b. ca. 1889.
ii	Mary Hawkins b. ca. 1890.
iii	Florence E. Hawkins b. 1890, d. 1912, buried: Gladstone Pioneer Cemetery, Murray River. iv	Margaret Ann Hawkins b. 1892, d. 1893, buried: Gladstone Pioneer Cemetery, Murray River. v	George Hawkins b. 05-MAY-1896. vi	Albert Watson Hawkins b. 1897, d. 1899, buried: Gladstone Pioneer Cemetery, Murray River. 95. Louisa Ann Hawkins (36.William3 , 7.Nancy2 , 1.Francoise1 ) b. 10-SEP-1869, m. 18-OCT-1888(L), Gavin McLeod , b. ca. 1867, d. 01-JUL-1962, buried: Gladstone Pioneer Cemetery. Louisa died 13-APR-1912, buried: Gladstone Pioneer Cemetery. i	William McLeod b. 14-MAY-1889, bapt: 25-FEB-1890, d. 20-NOV-1890, buried: Gladstone Pioneer Cemetery. ii	Mathew McLeod b. ??-JUL-1893. iii	Gavin McLeod b. 16-MAR-1895. iv	William McLeod b. 03-NOV-1899. 98. Alexandra Louise Ally Bears (37.Priscilla3 , 7.Nancy2 , 1.Francoise1 ) b. 04-MAY-1871, bapt: 10-OCT-1871, m. Charles Graham . Alexandra died 1921.
i	Charles Leroy Graham b. 1905, d. 1975. 99. Cyrus Wilfred Bears (37.Priscilla3 , 7.Nancy2 , 1.Francoise1 ) b. 03-DEC-1875, m. 1905, Olivia Nicholson . Cyrus died 13-JAN-1949, buried: Murray River Cemetery. i	Daniel Ernest Bears b. 1906, d. 1929.
ii	Allin Chessel Bears b. 1908, Gladstone, PEI, m. 1942, Verne Makin . iii	Jennie Thankful Bears b. 1909, m. 1939, William Elliott Whalen . Jennie died 1961. 100. Ralph Rosco Bears (37.Priscilla3 , 7.Nancy2 , 1.Francoise1 ) b. 08-JAN-1883, m. Catherine ("Cassie") May Hume , b. 24-SEP-1886, bapt: 17-OCT-1886, (daughter of Samuel Hume and Damaris Watts MacLeod). Ralph died 1939, buried: Evergreen Cemetery, Brighton, MA. i	Inez Bears b. 1908, m. 1930, Douglas E. Smith , b. 1907, Chelsea, MA. ii	William Russell Bears b. 1910, Gladstone, PEI, m. (1) Kay Ford , m. (2) Bernice Hoty . iii	Amy L. Bears b. 1912, Somerville, MA, m. Robert A. Shillady, Jr. .
iv	Violet Gertrude Bears b. 1914, Somerville, MA, m. 1939, Maynard W. Allard . v	Ralph Hume Bears b. 1931, Boston, MA, m. 1959, Anne Louise Clark , b. 1940, Boston, MA. 101. Sidney Whitfield Bears (37.Priscilla3 , 7.Nancy2 , 1.Francoise1 ) b. 1887, m. Della Beatrice Jordan , b. 06-JUL-1889, Sussex, NB, (daughter of Edward M. Jordan and Jane Buell). Sidney died 01-APR-1918, buried: Murray Harbour SO. i	Hazel Wilemina Bears b. 1913, P.E.I., m. (1) 1937, Fraser Lee , d. 1942, m. (2) 1967, Clyde McNeil . ii	Rita Louise Bears b. 1914, m. 1931, John A. Grieves . 102. Henry Alline Bears (37.Priscilla3 , 7.Nancy2 , 1.Francoise1 ) b. 1890, Wilmot, PEI, m. 1913, Florence Woodward , b. 1892, Charlestown, MA. i	George Wendell Bears b. 1914, Somerville, MA, m. 1935, Elsie V. Thompson . ii	Warren Allen Bears b. 1915, m. 1935, Catherine Edna Pettee . iii	Henry Alline Bears, II b. 1919, Medford, MA, m. 1947, Ann Mary McQuilkin . iv	Alfred Lincoln Bears b. 1923, Medford, MA, m. (1) Unknown , m. (2) Pauline E. Waterman . Alfred died 1950.
v	Dorothy Priscilla Bears b. 1928, m. (1) 1946, Arthur Ross Smith , m. (2) Paul __________ . 103. Robert Thompson (38.Esther3 , 8.John2 , 1.Francoise1 ) b. 22-JUL-1867, m. Annie McDonald , b. 1871, d. 1919, buried: Sturgeon, PEI, United Baptist Cemetery. Robert died 1919, buried: Sturgeon, PEI, United Baptist Cemetery. i	Milton Thompson b. 1896, d. 14-MAY-1896, buried: Sturgeon, PEI, United Baptist Cemetery. 104. John Thompson (38.Esther3 , 8.John2 , 1.Francoise1 ) b. 25-NOV-1873, m. May Ella Dyer , b. 15-MAY-1876, Ireland, d. 06-NOV-1848. John died 18-DEC-1963, Winthrop, MA. i	Marion Thompson b. 03-MAY-1909, Boston, MA, m. Arthur Maskell .